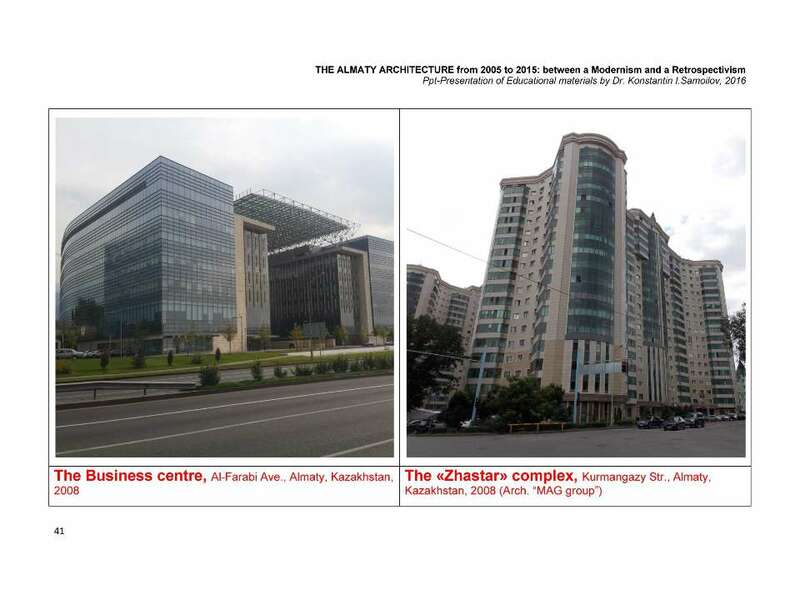 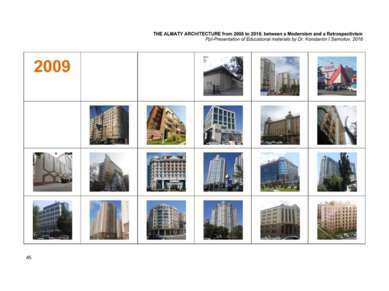 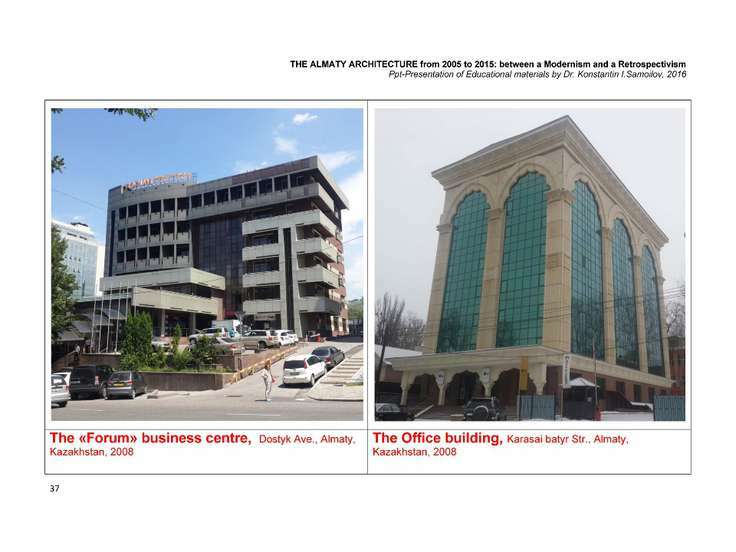 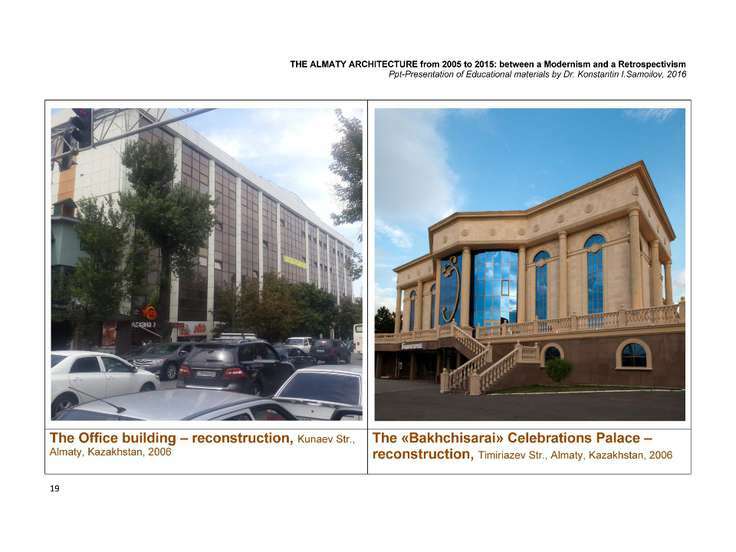 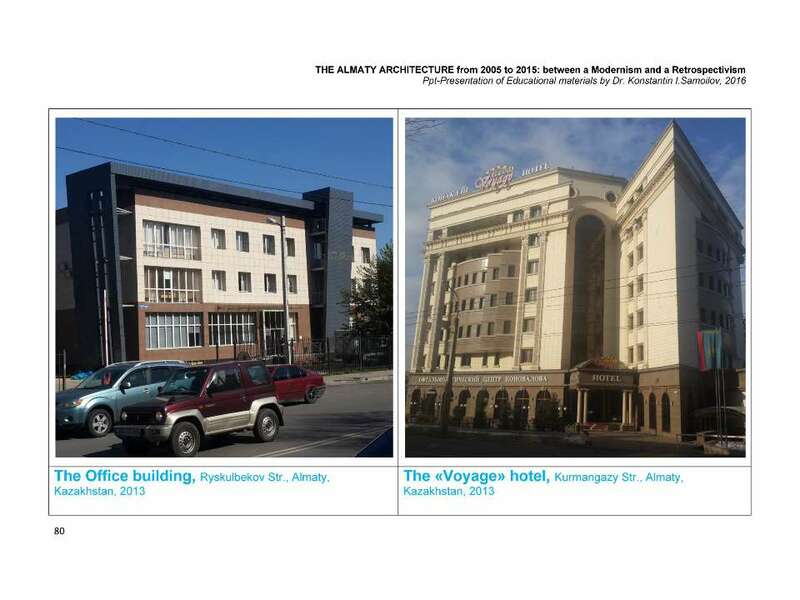 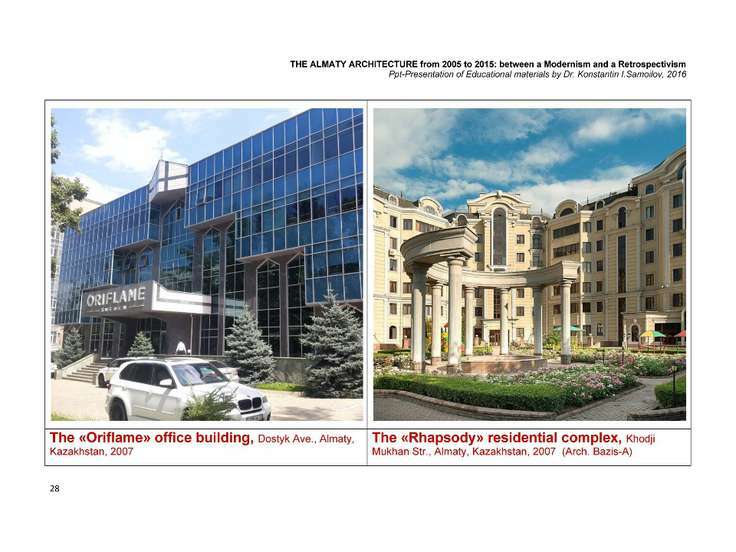 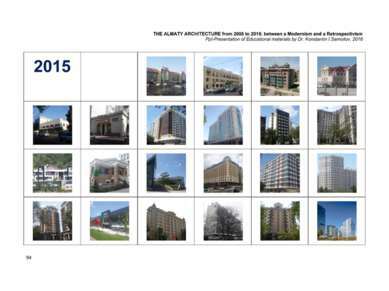 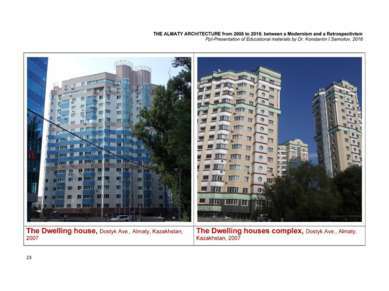 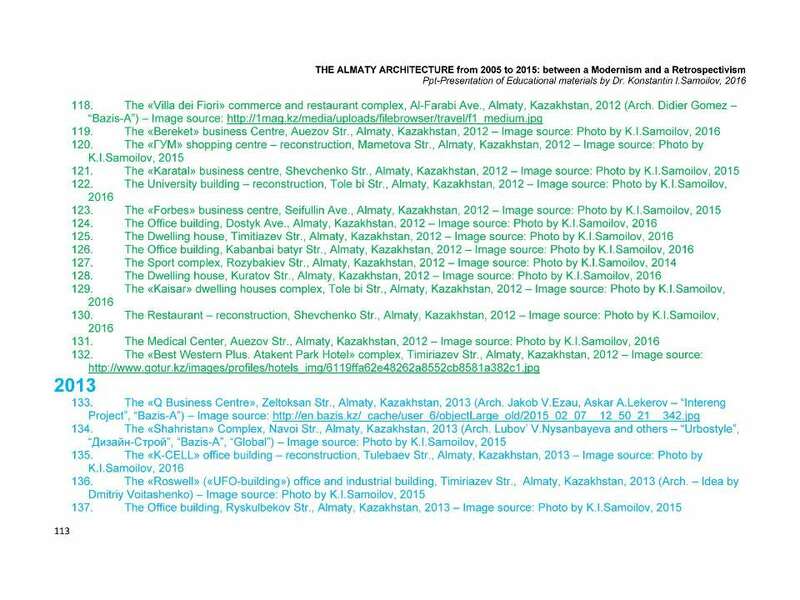 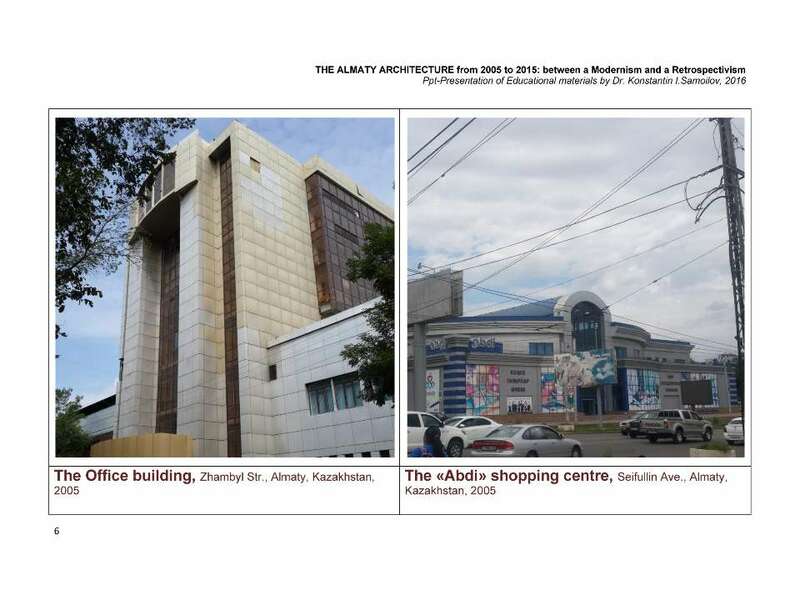 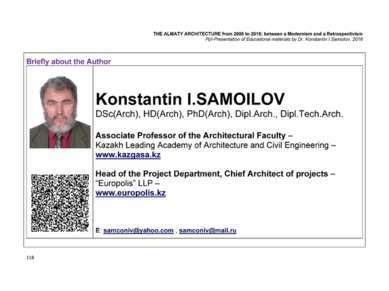 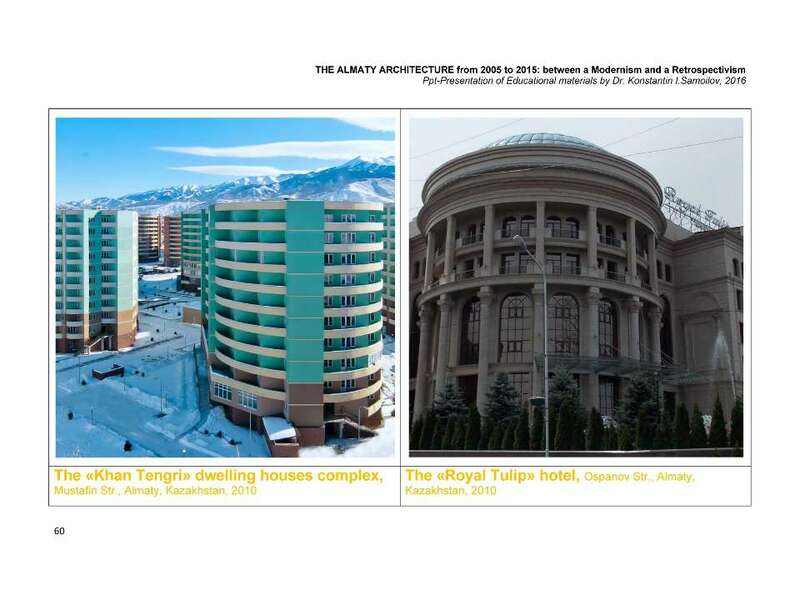 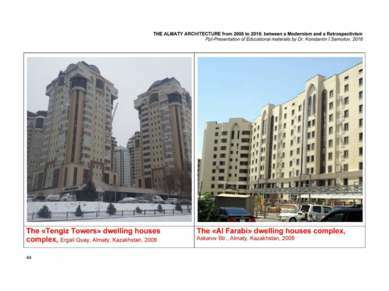 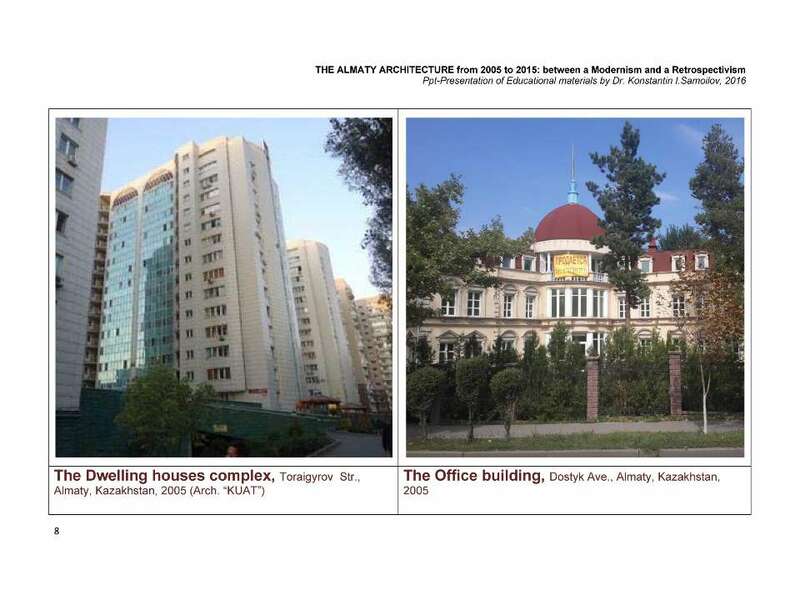 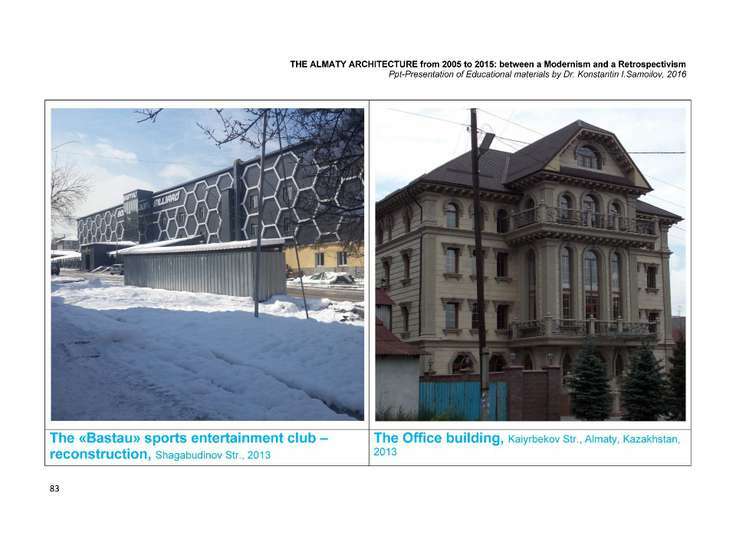 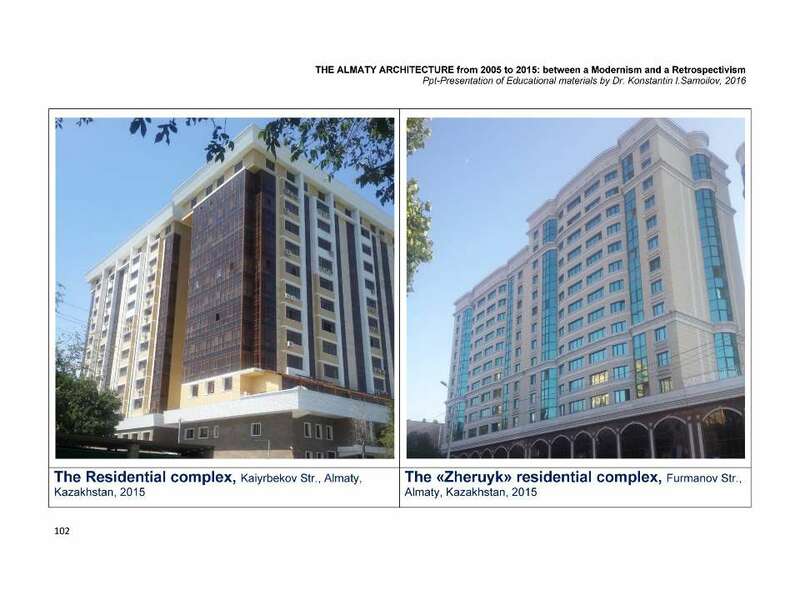 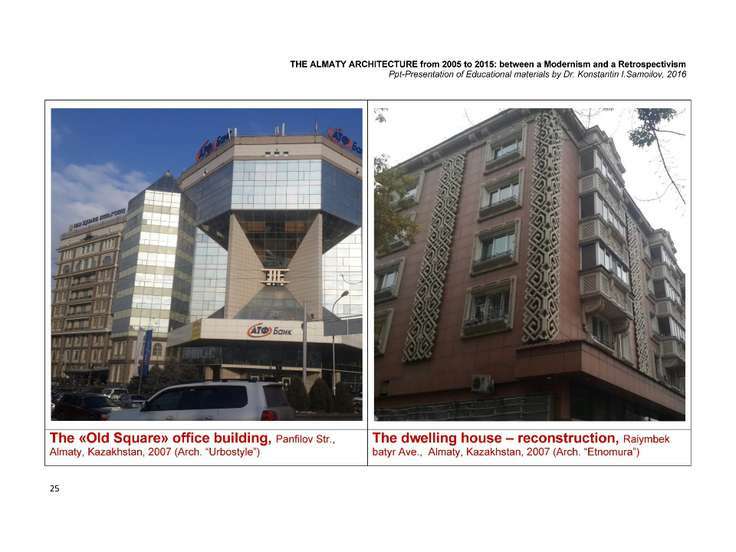 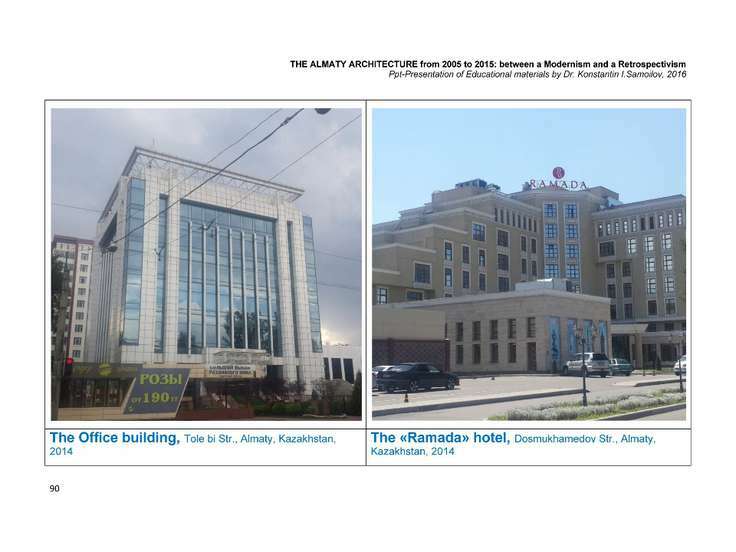 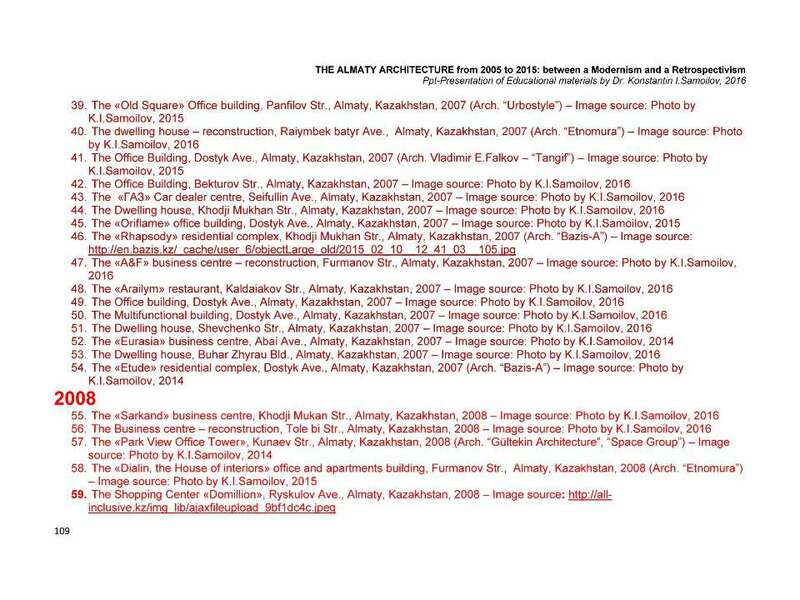 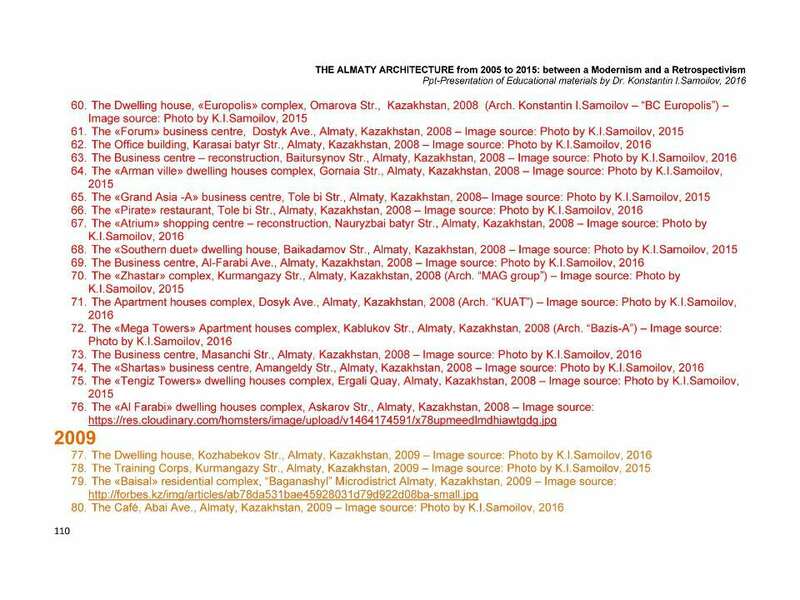 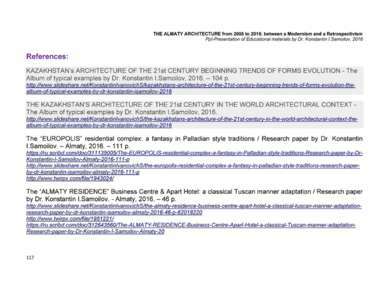 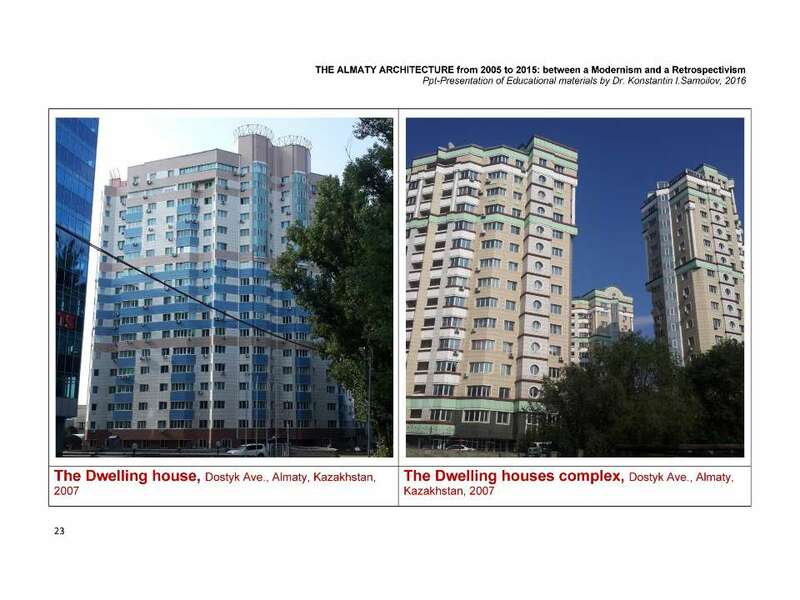 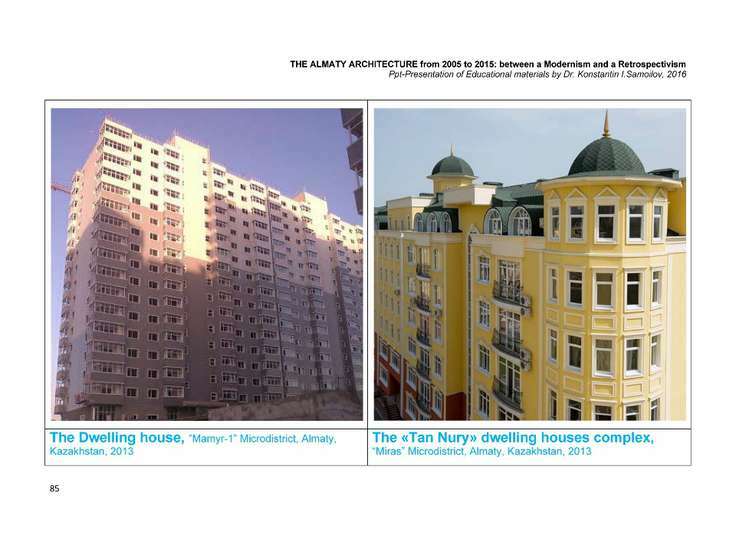 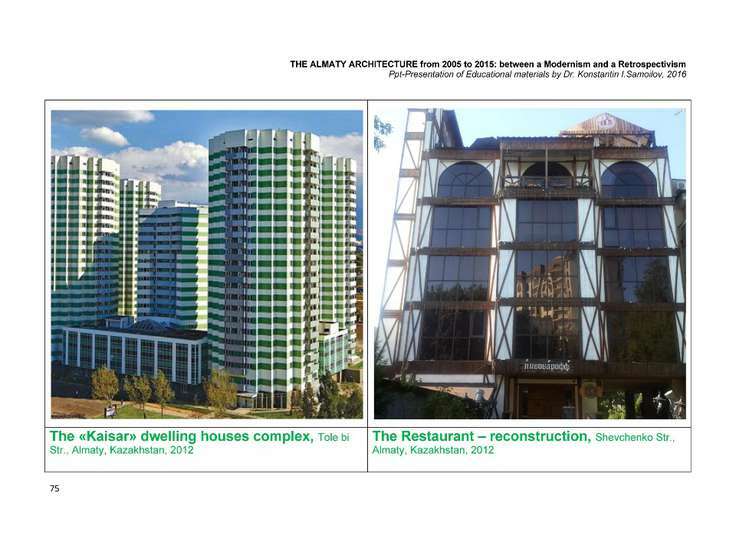 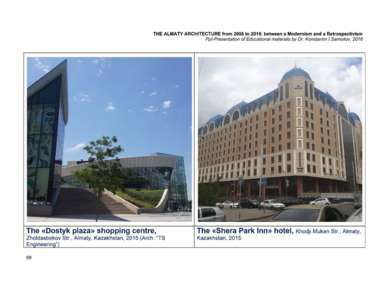 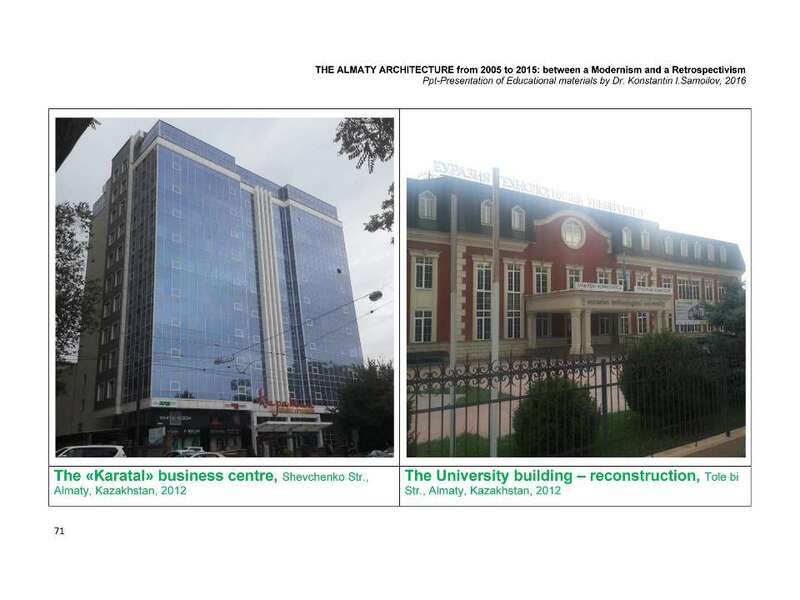 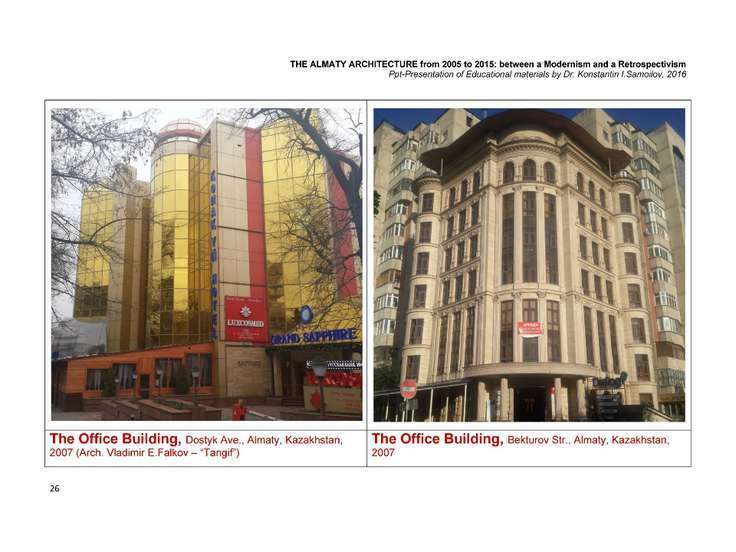 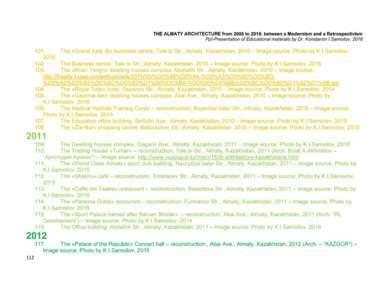 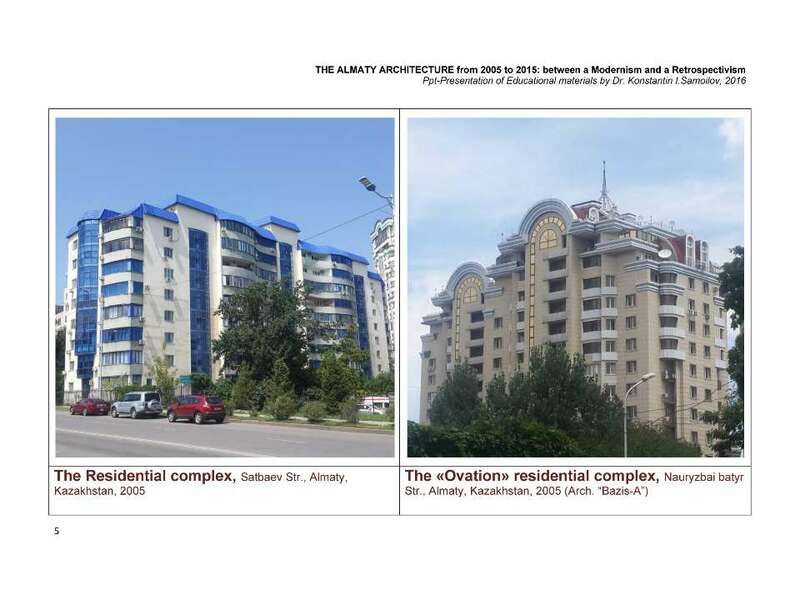 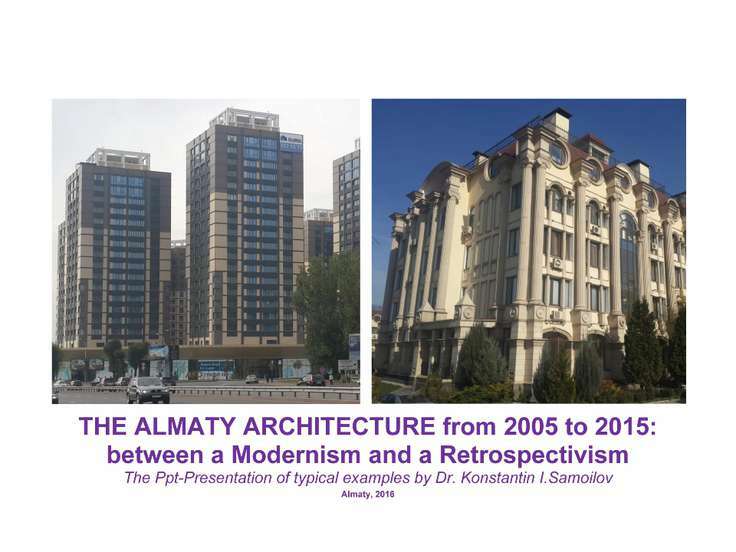 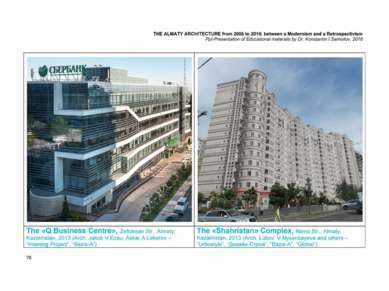 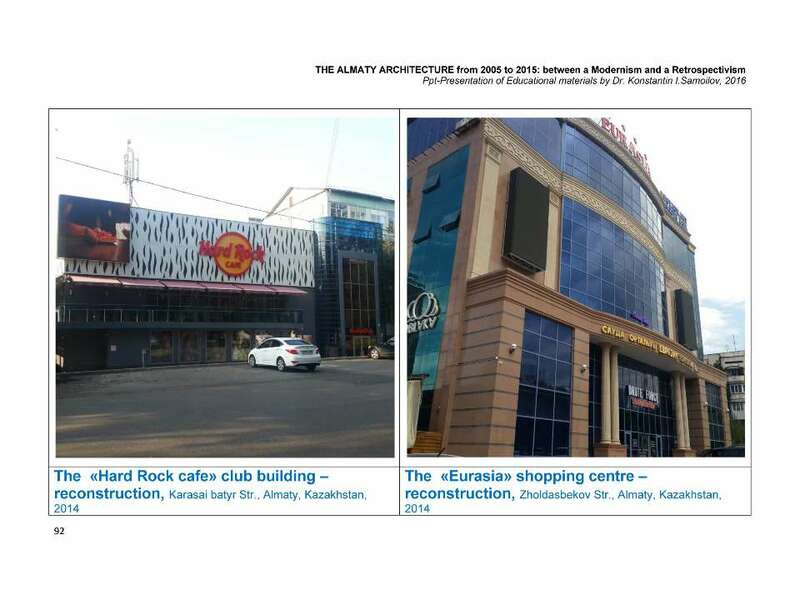 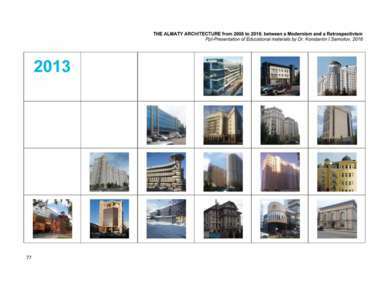 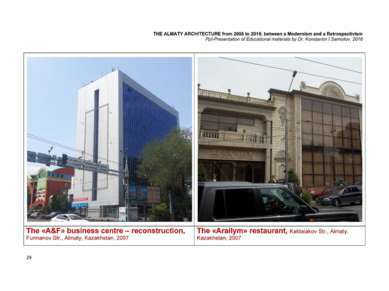 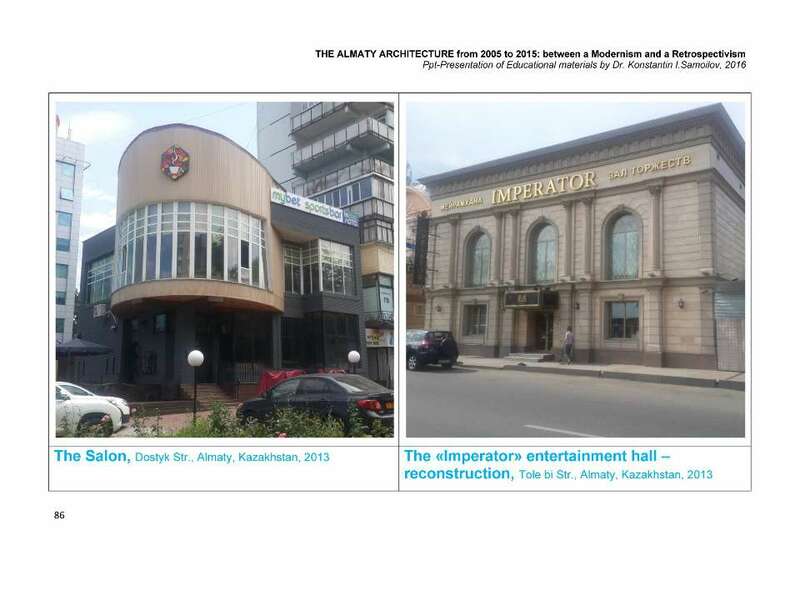 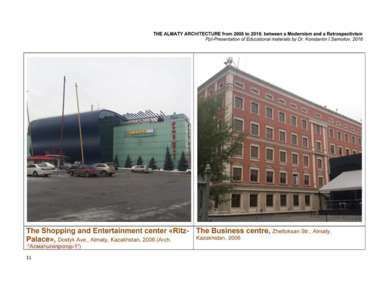 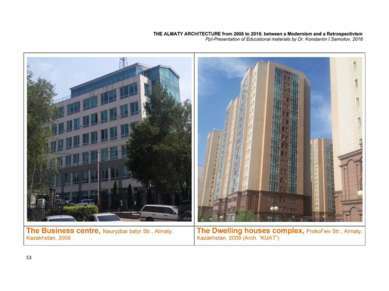 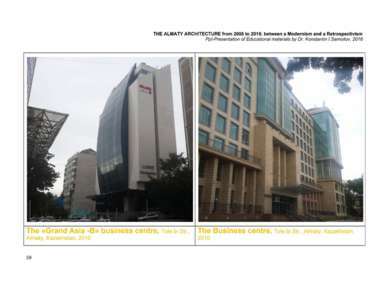 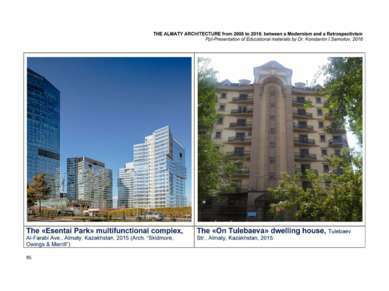 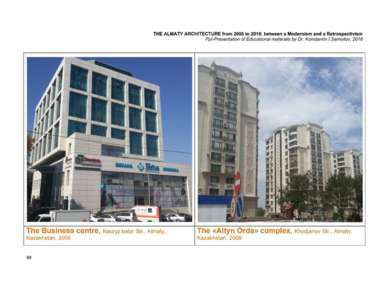 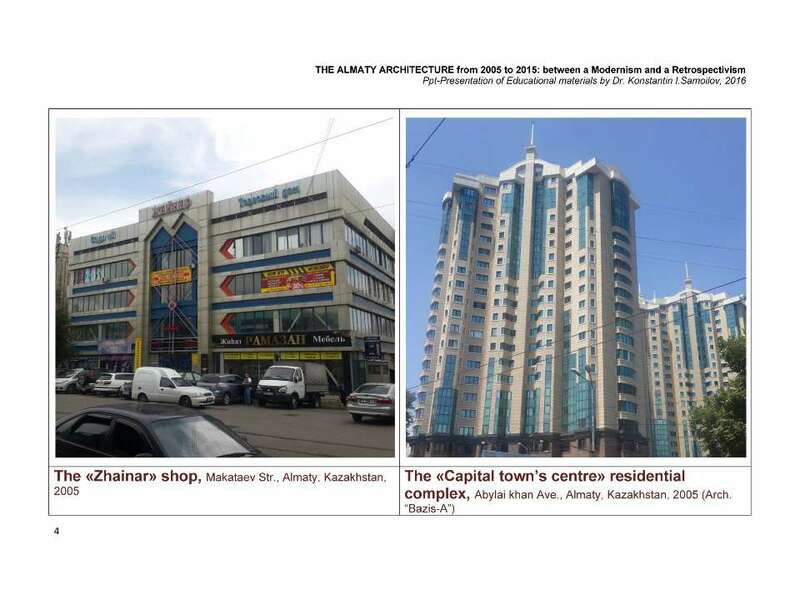 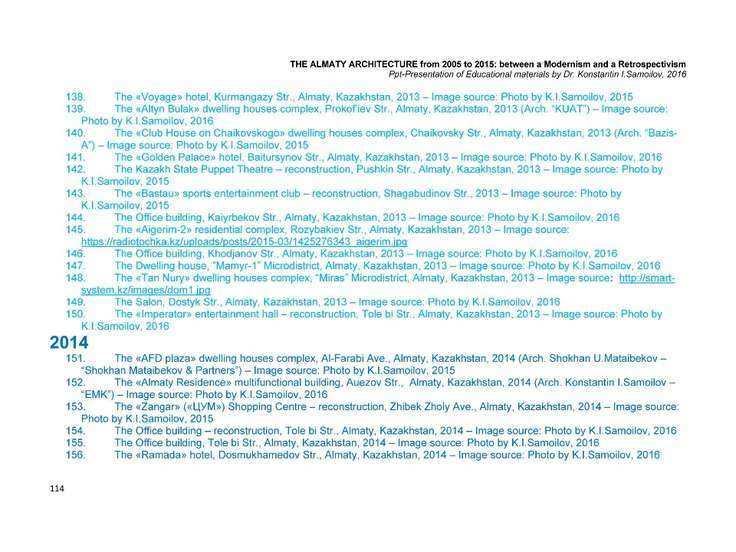 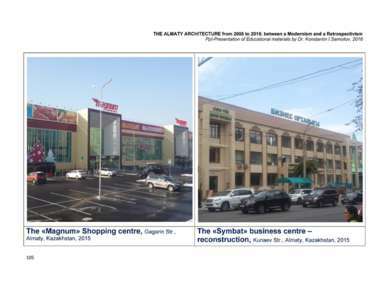 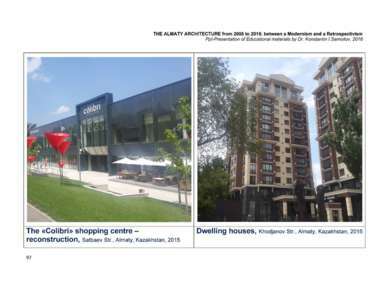 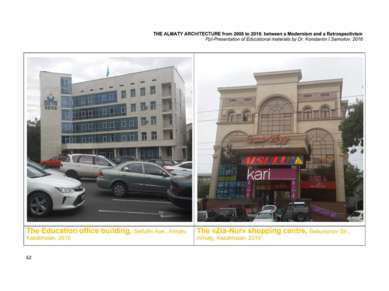 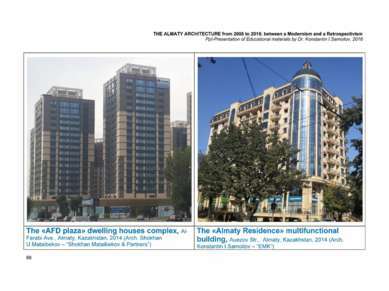 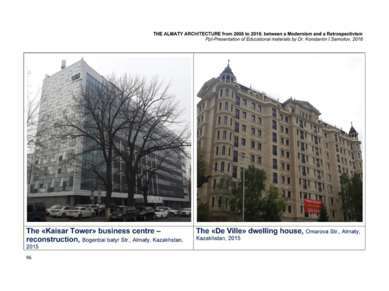 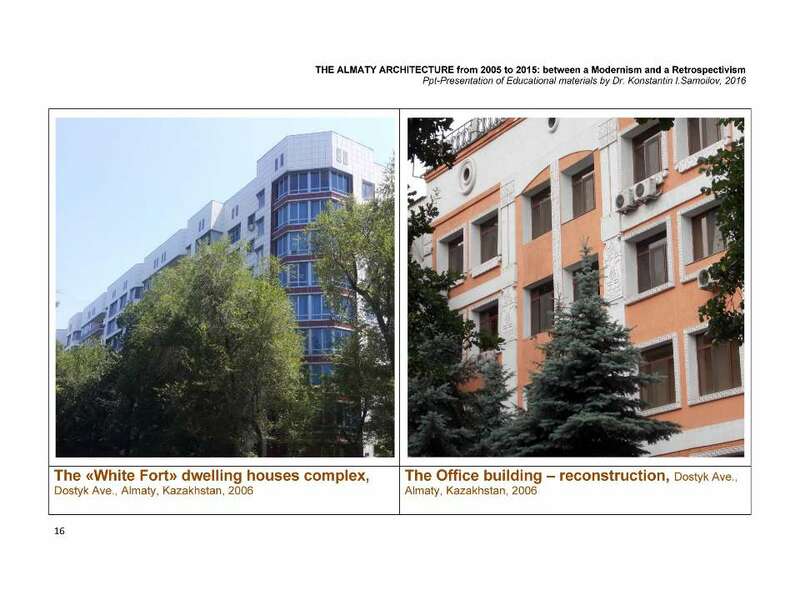 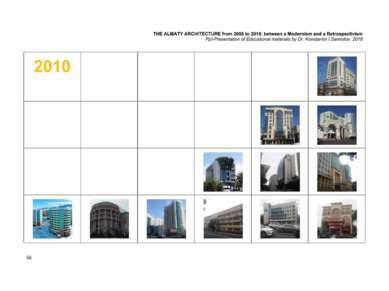 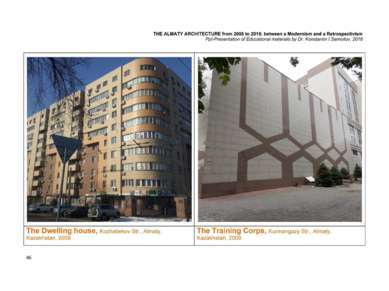 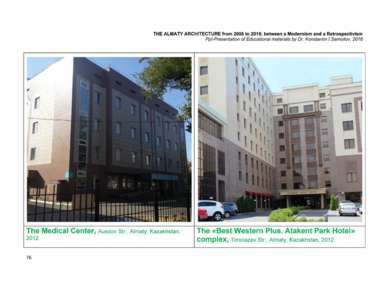 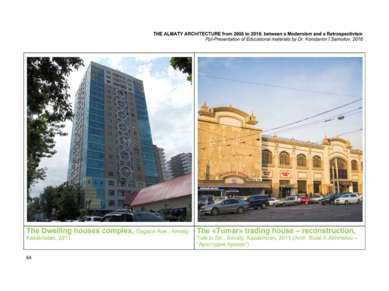 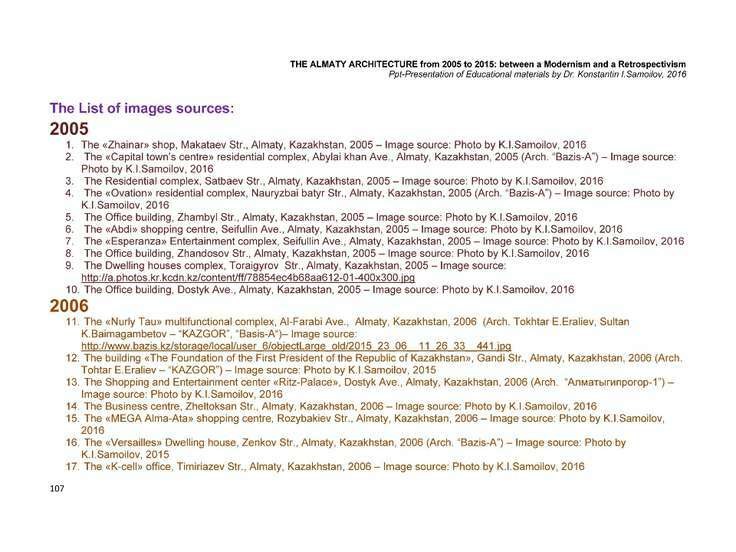 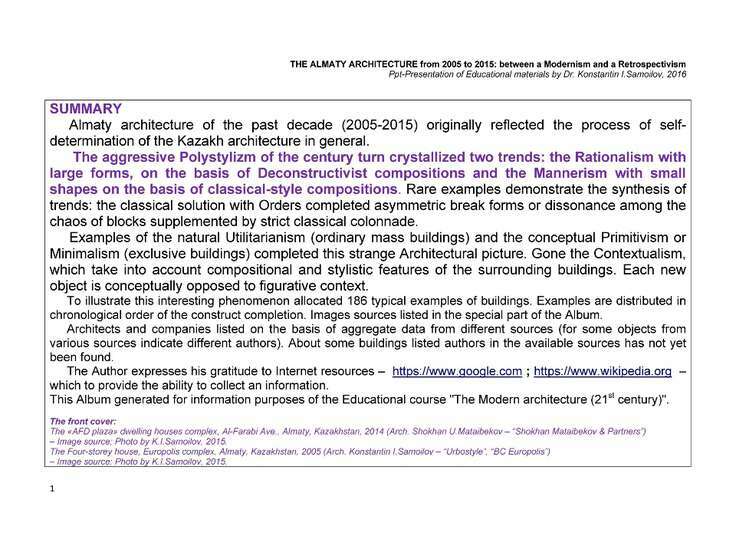 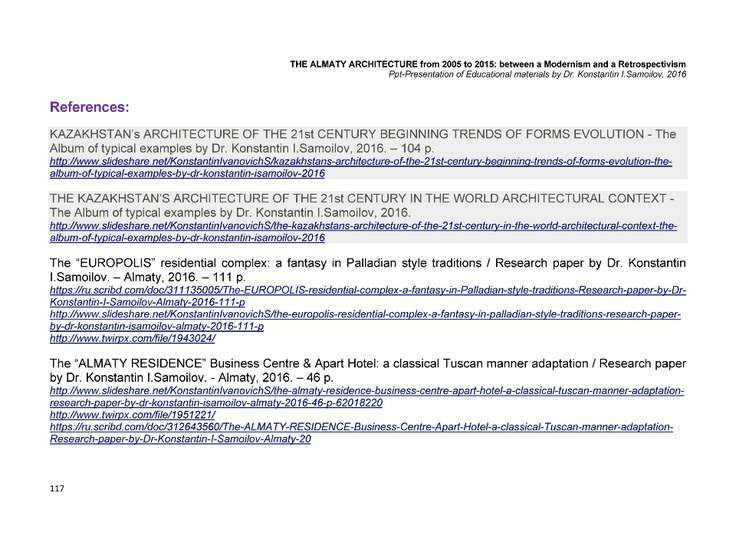 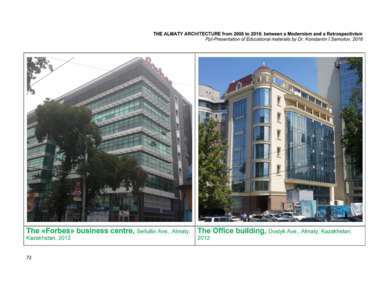 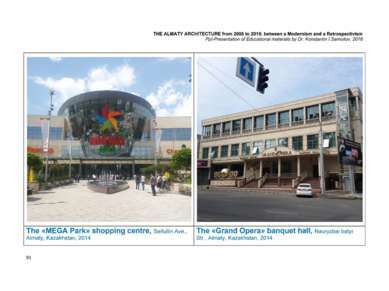 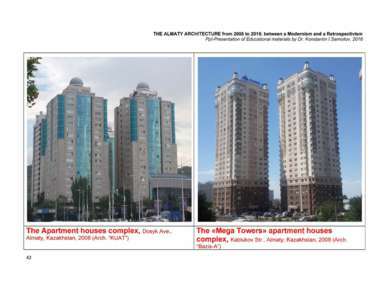 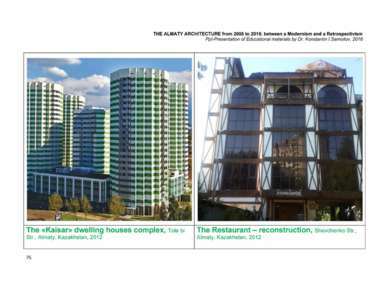 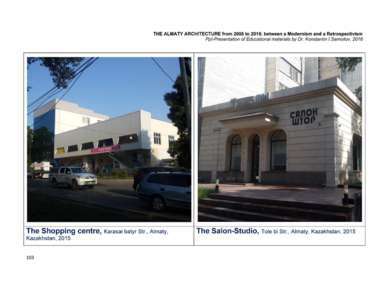 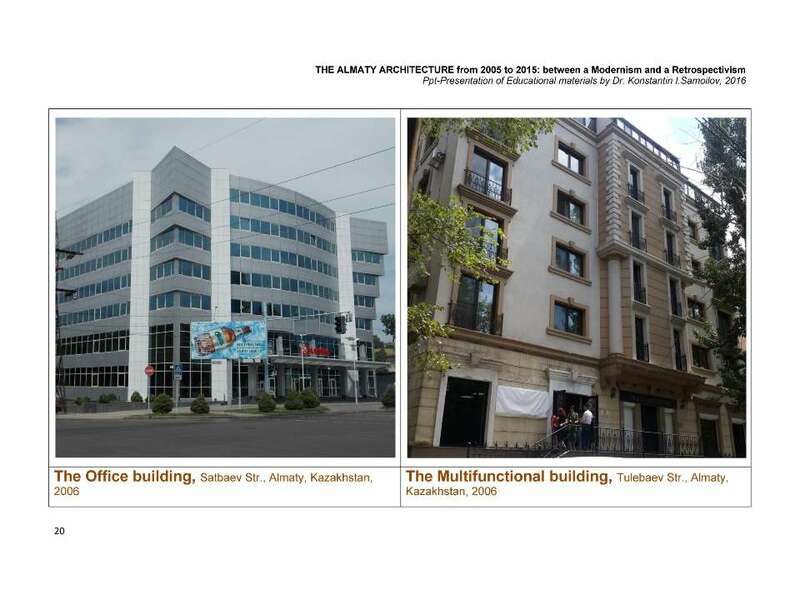 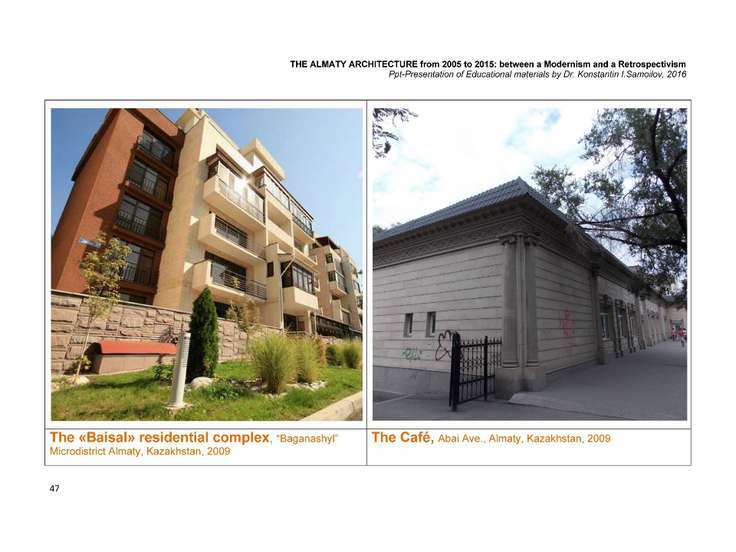 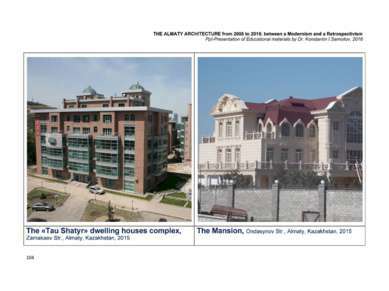 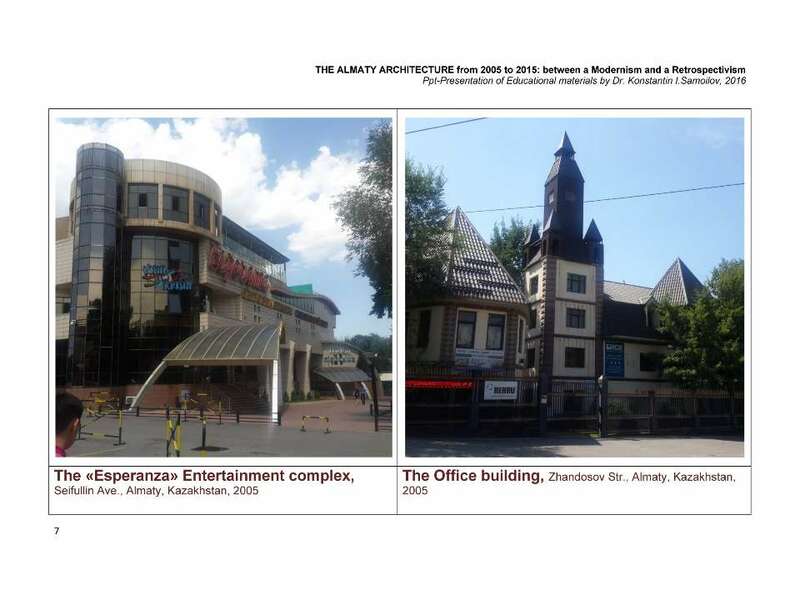 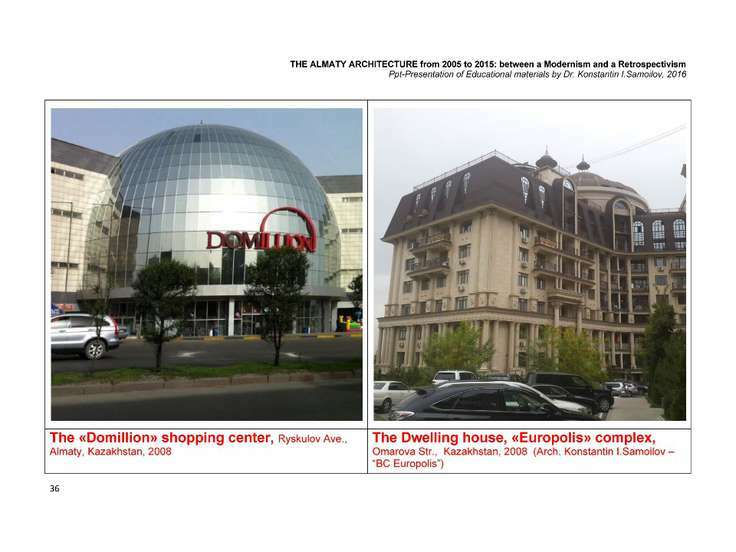 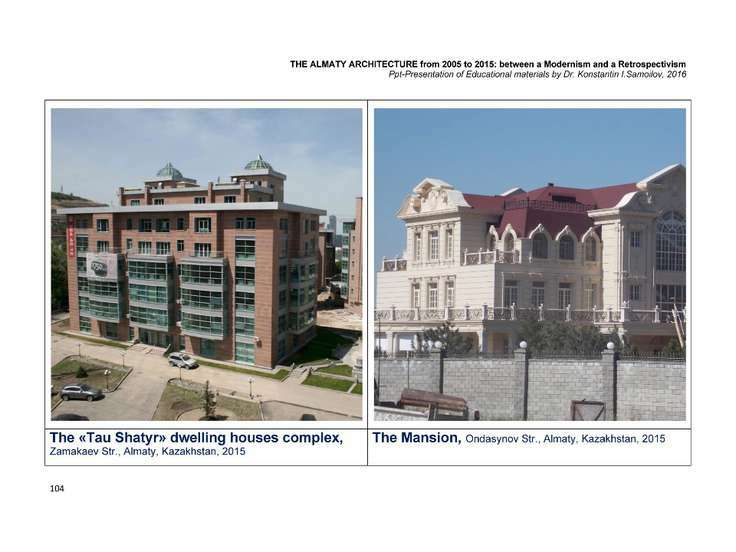 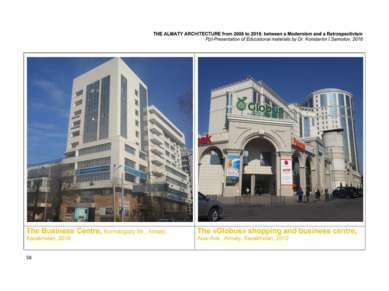 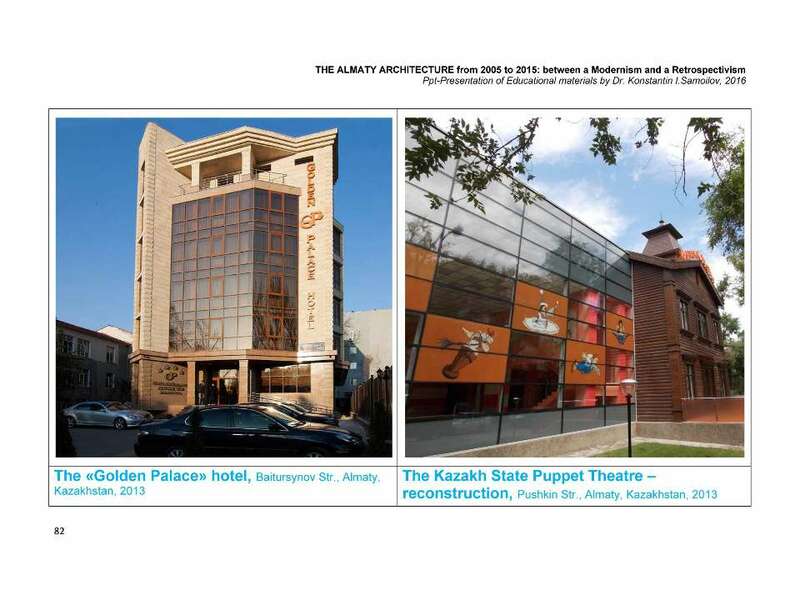 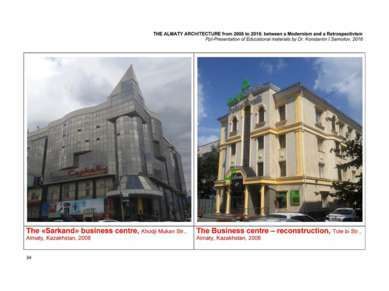 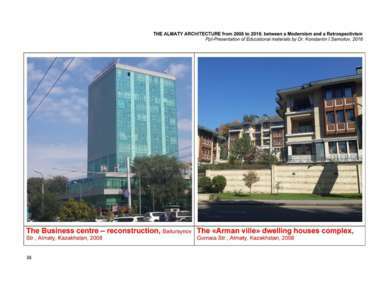 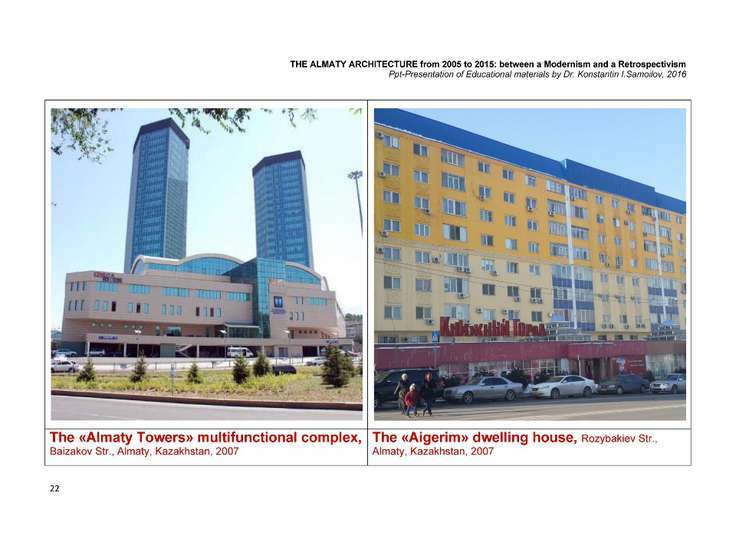 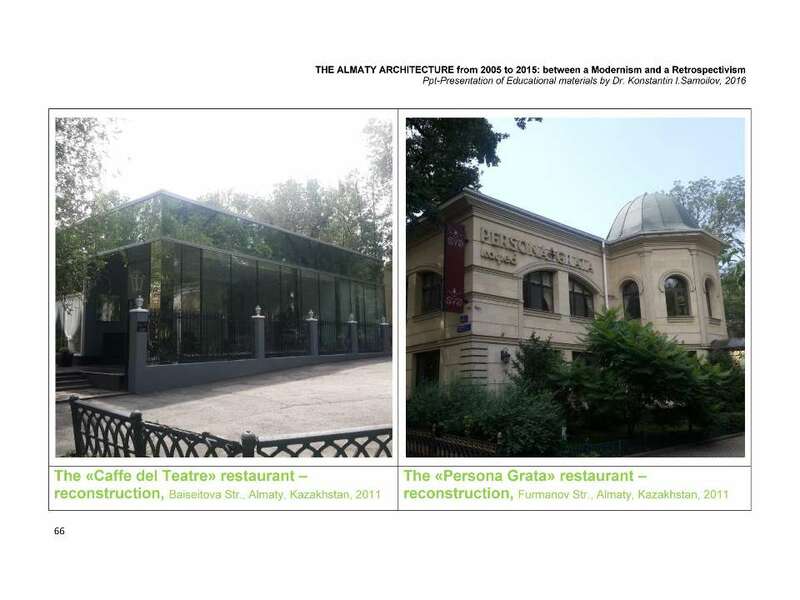 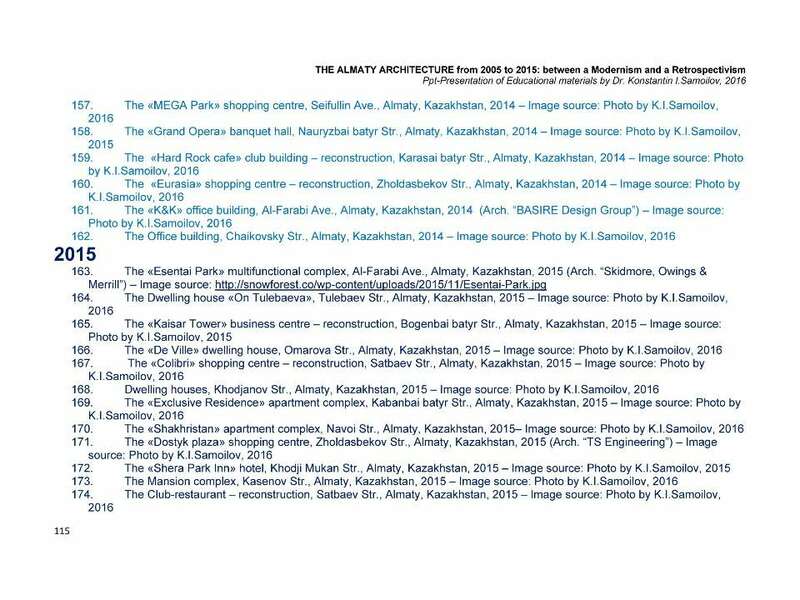 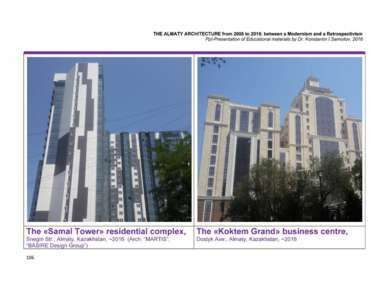 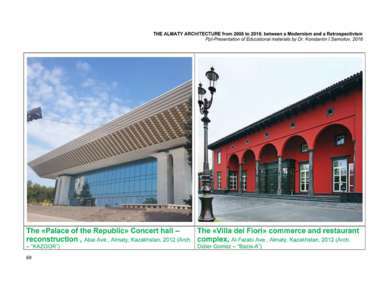 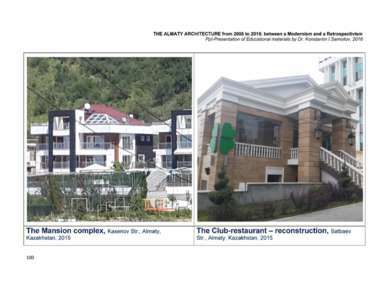 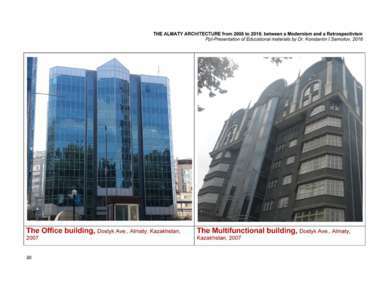 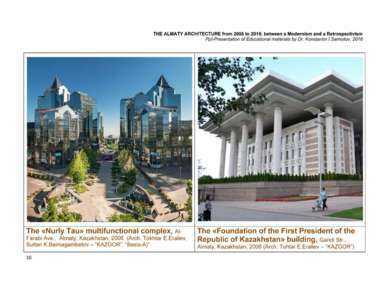 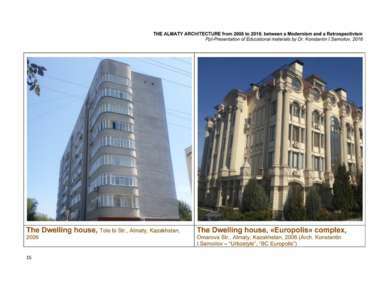 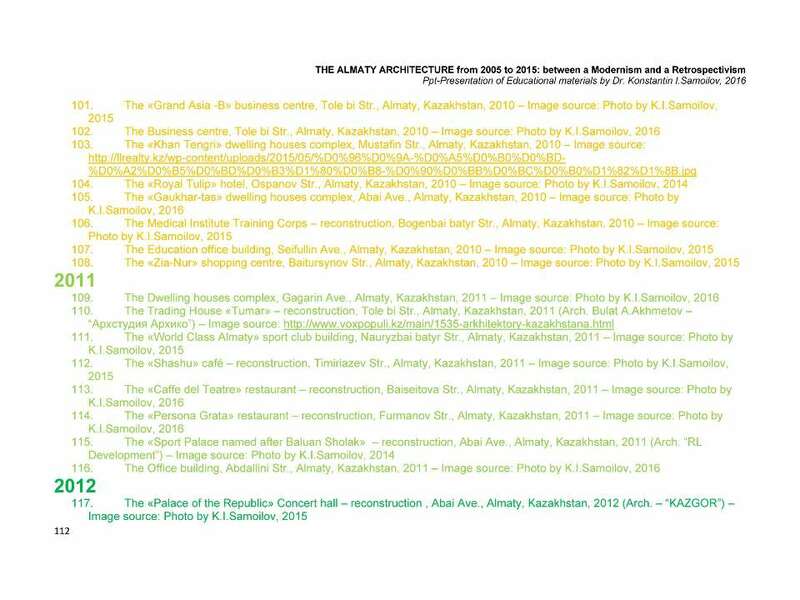 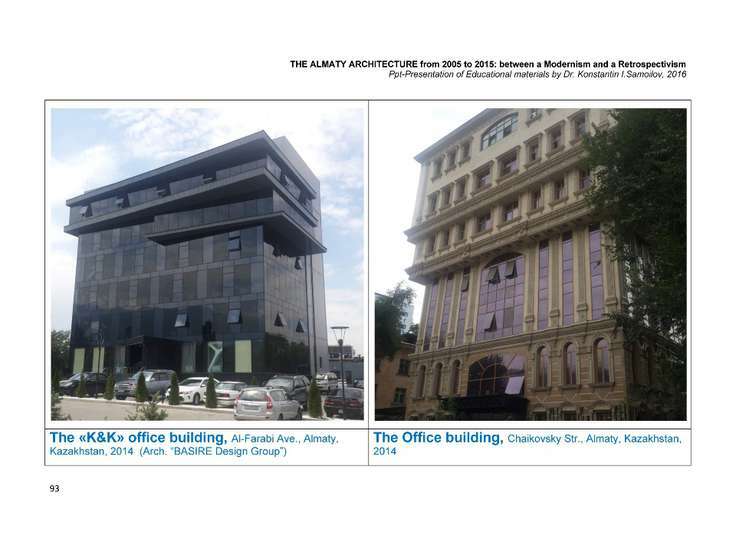 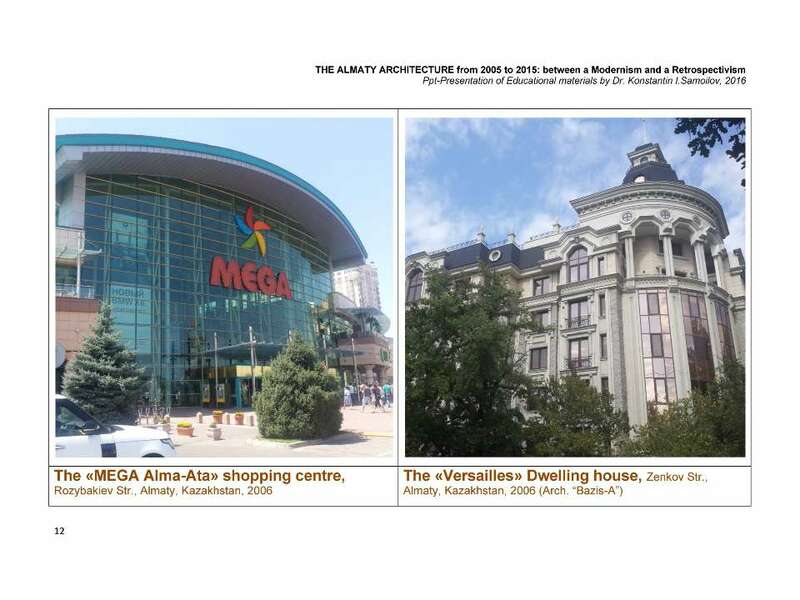 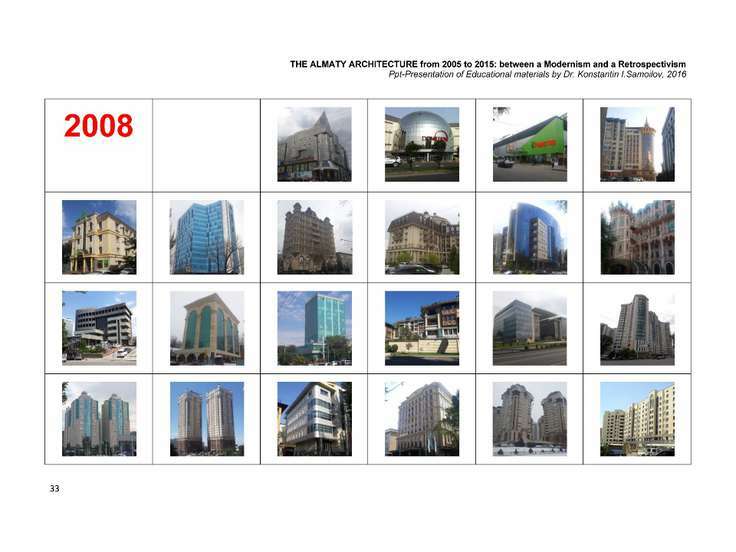 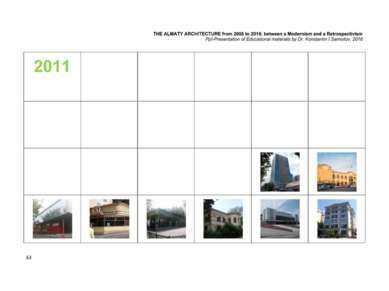 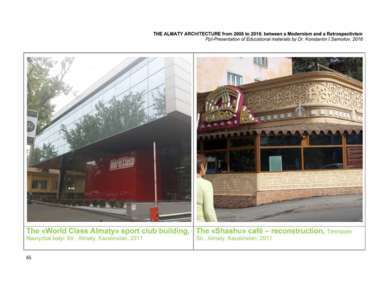 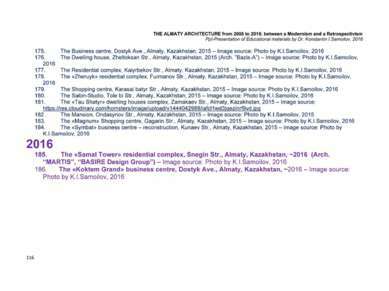 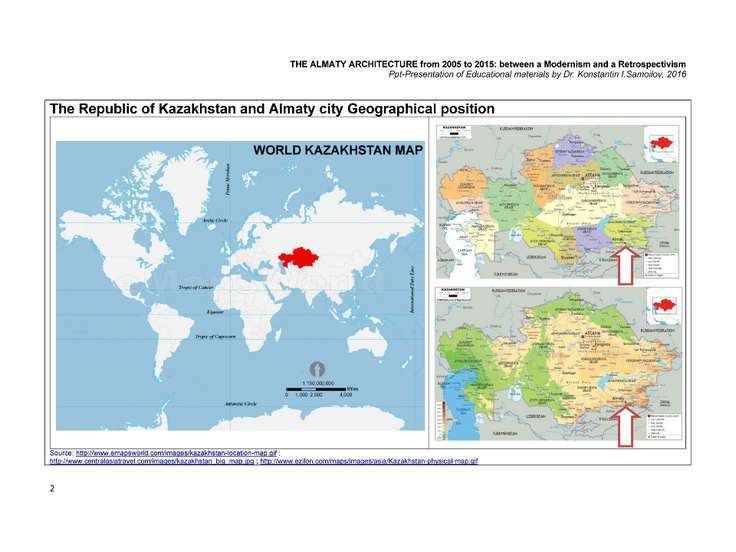 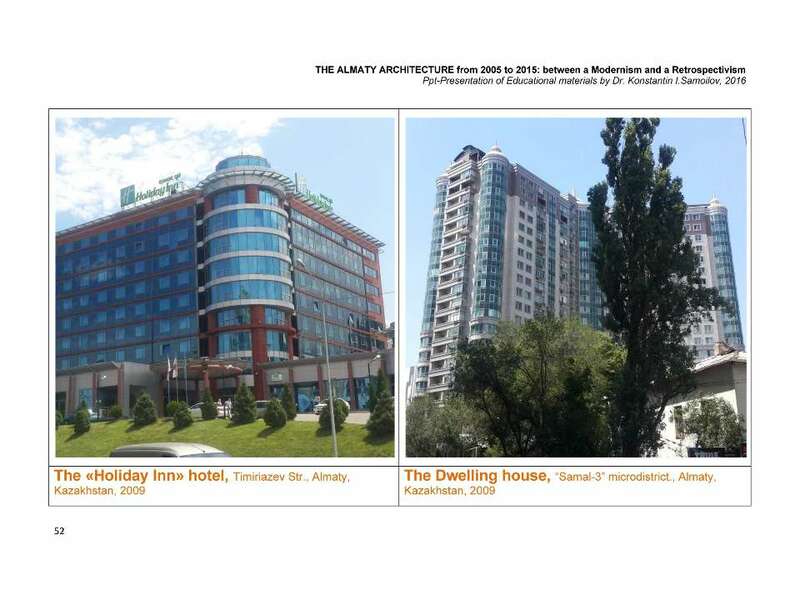 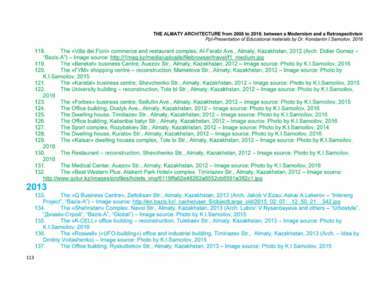 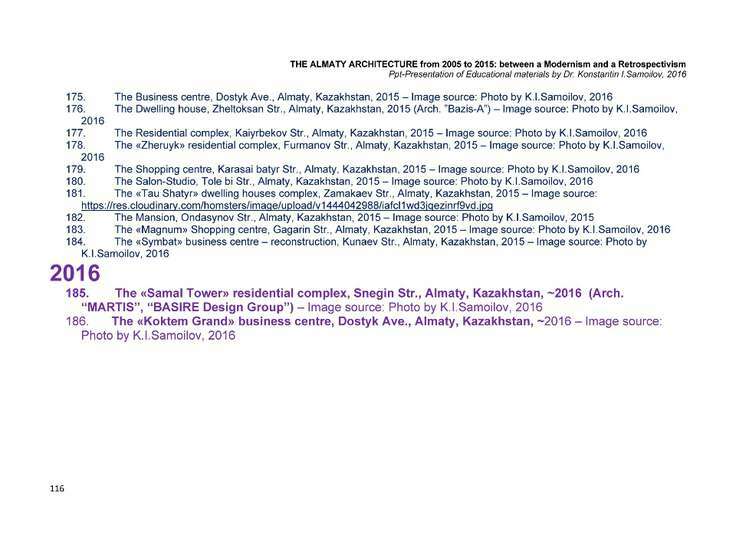 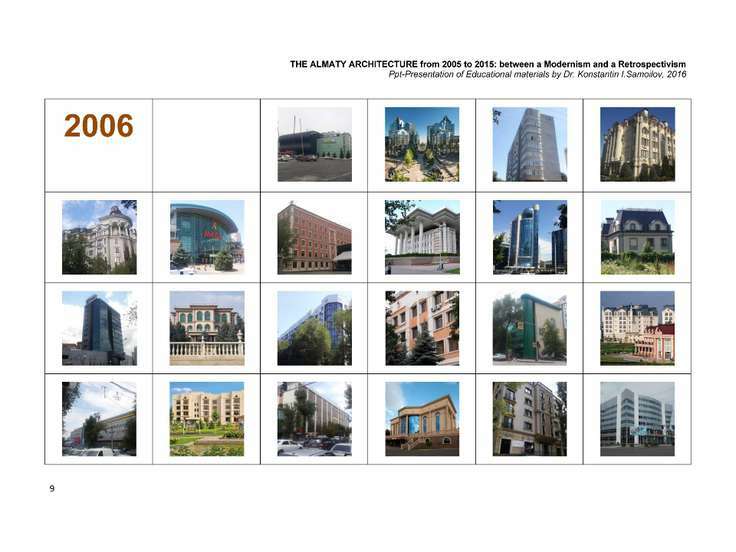 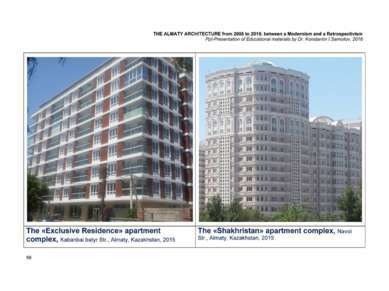 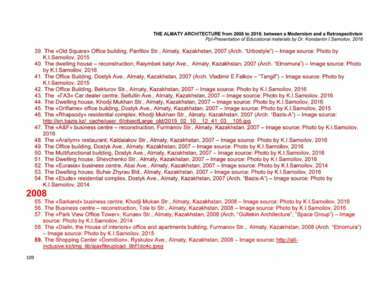 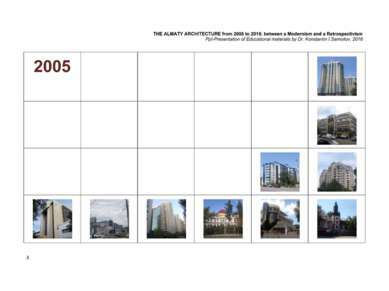 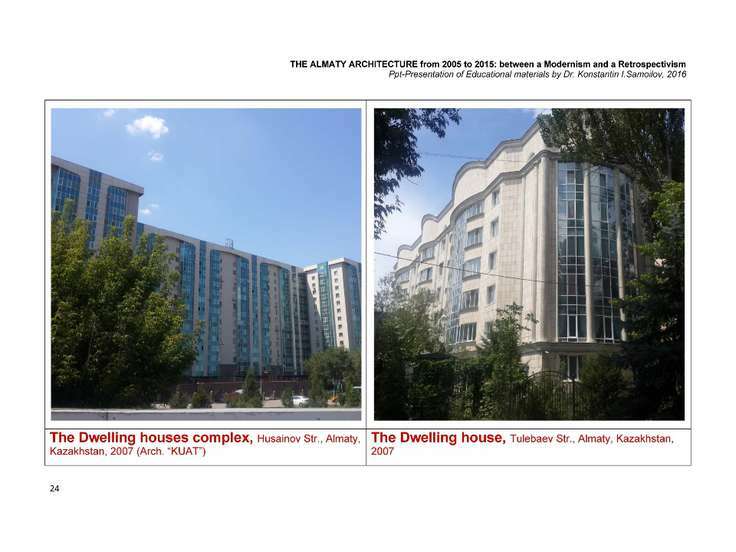 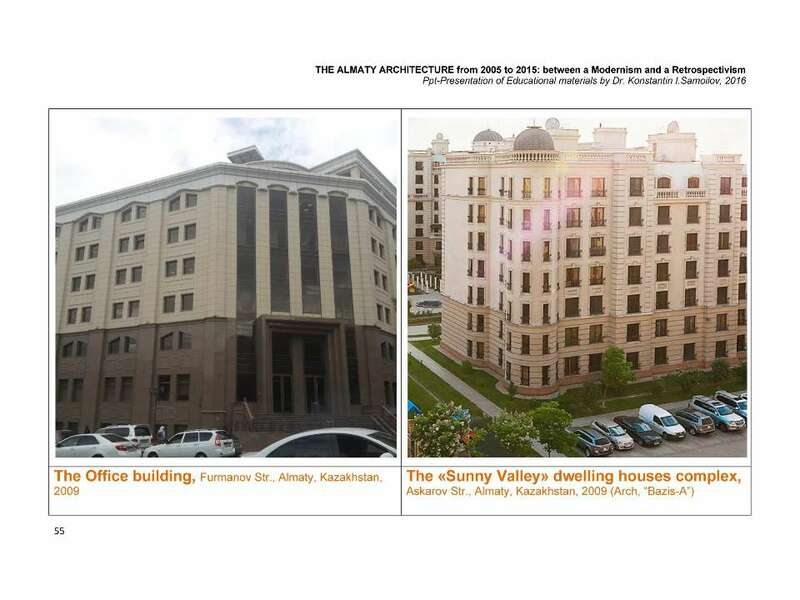 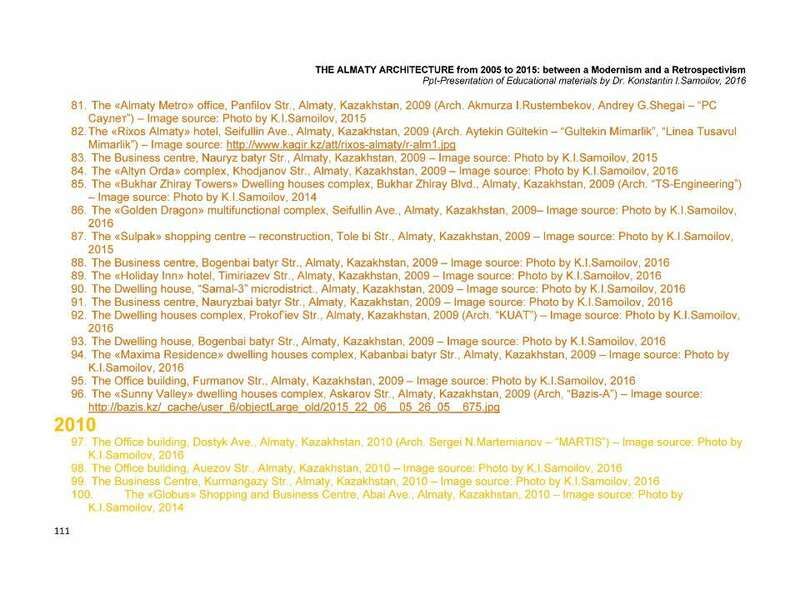 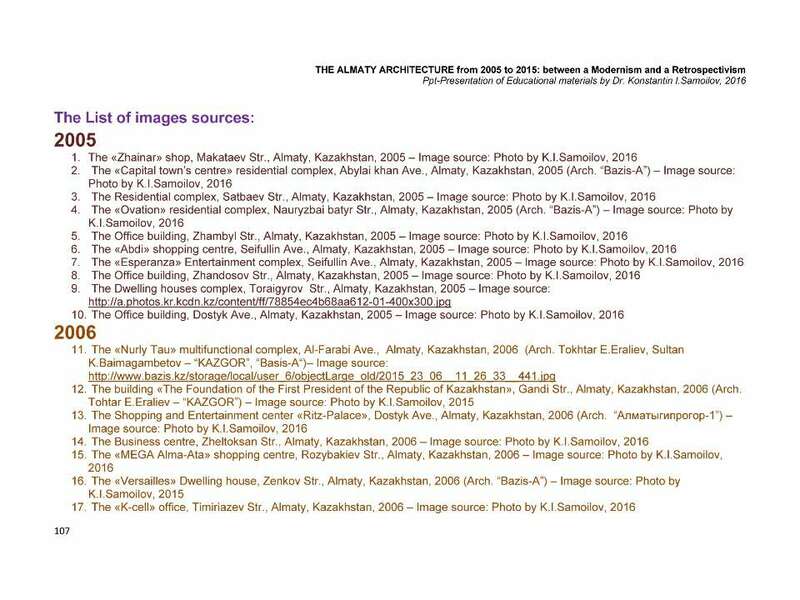 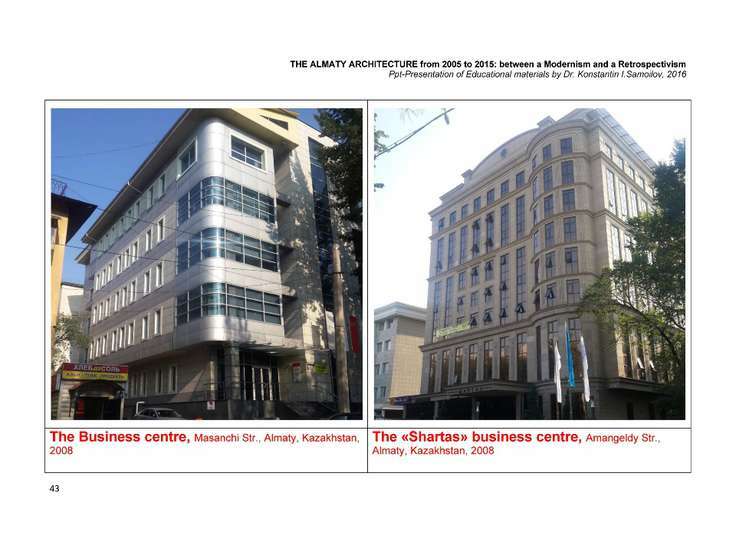 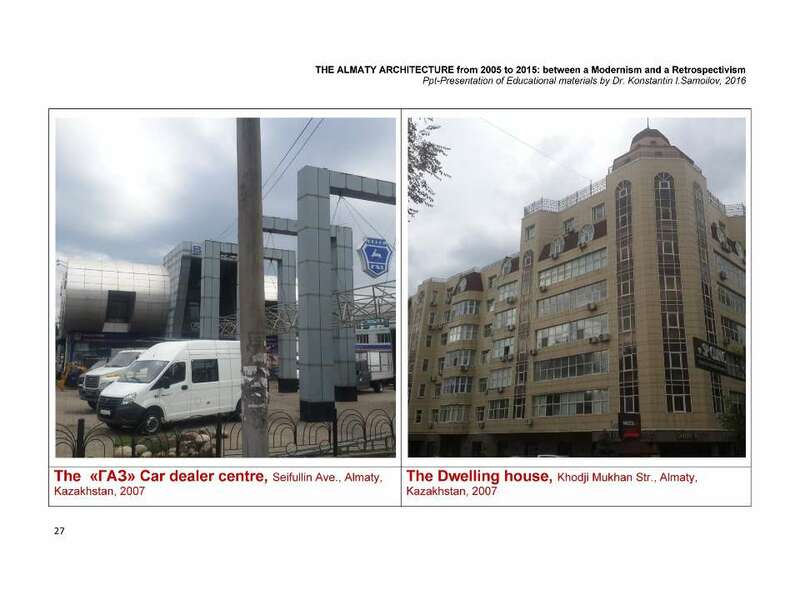 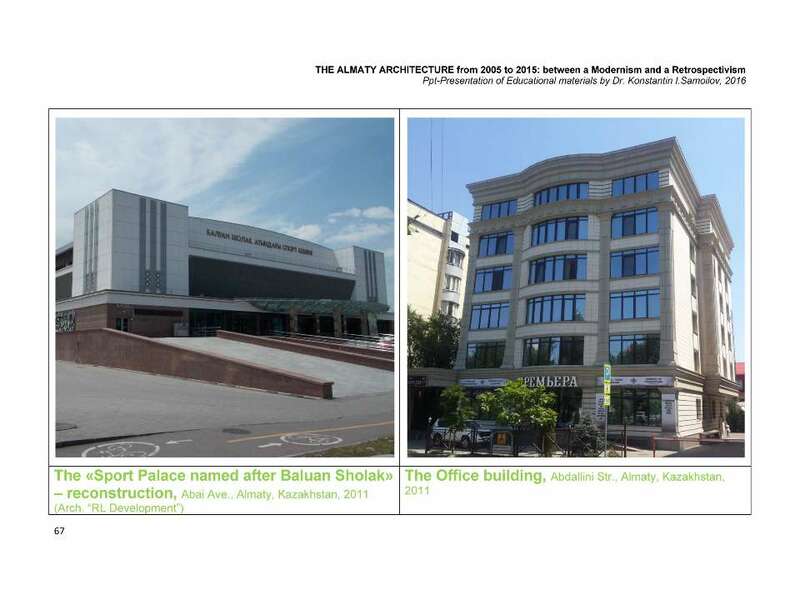 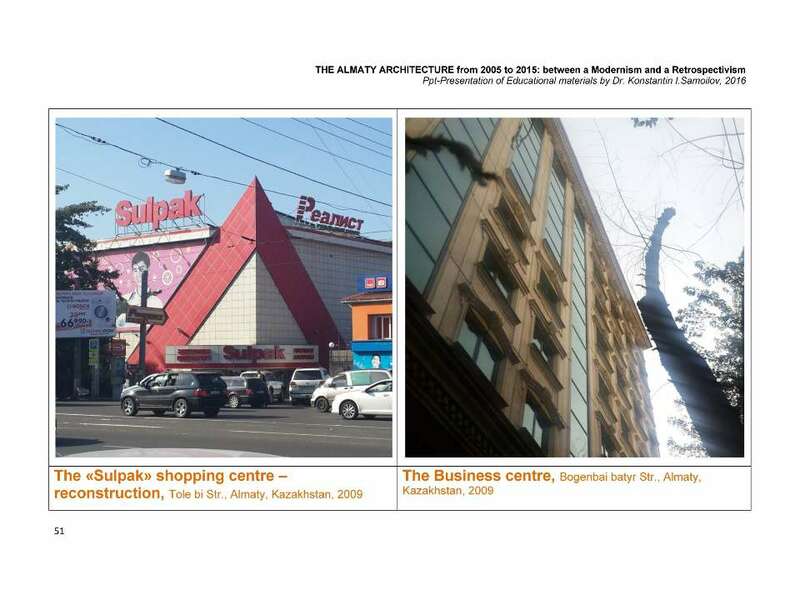 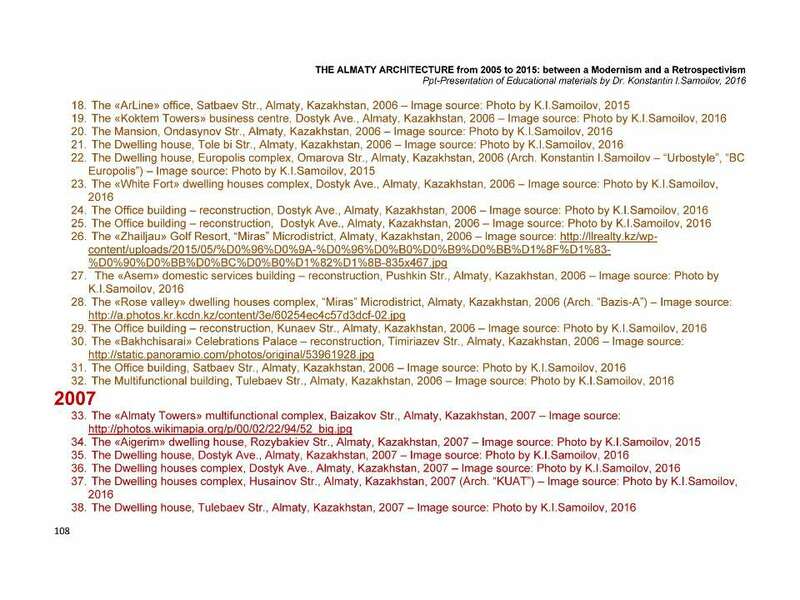 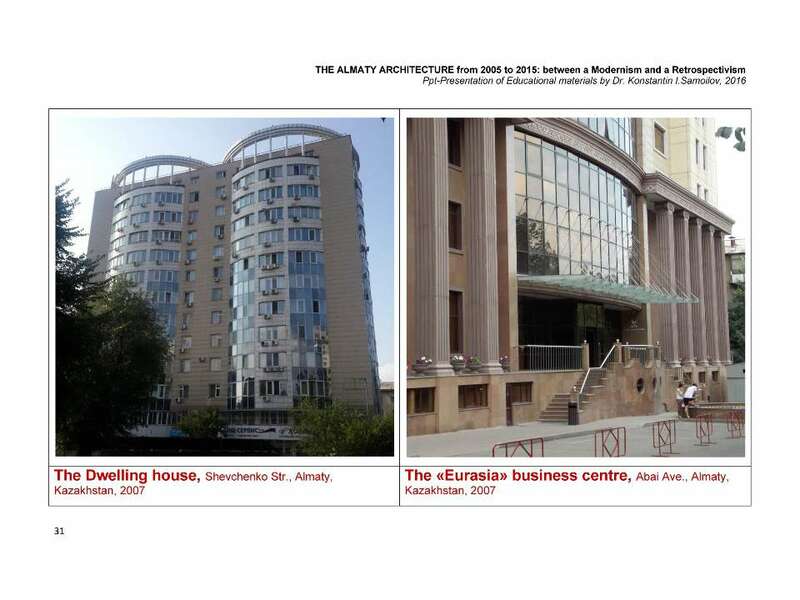 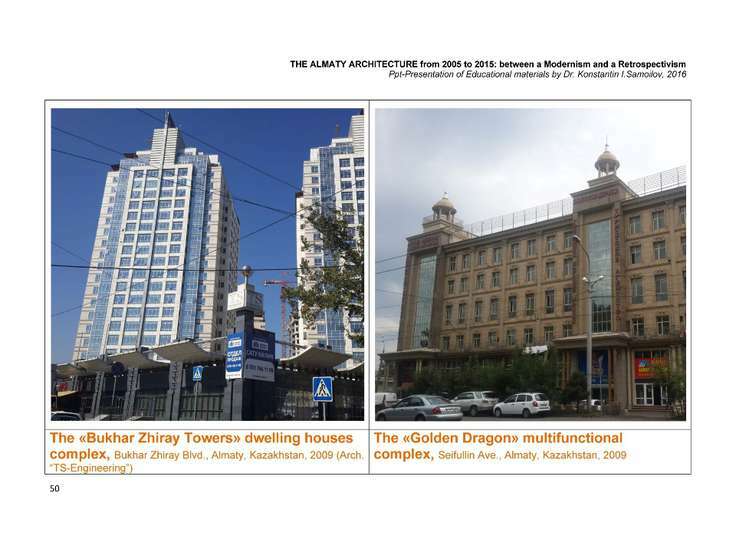 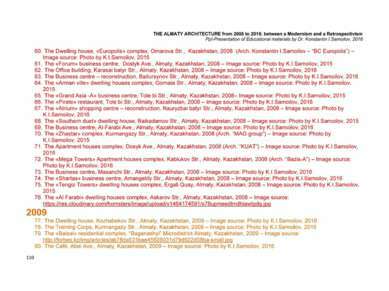 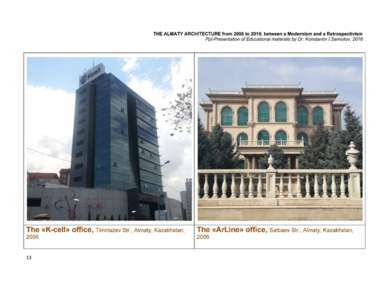 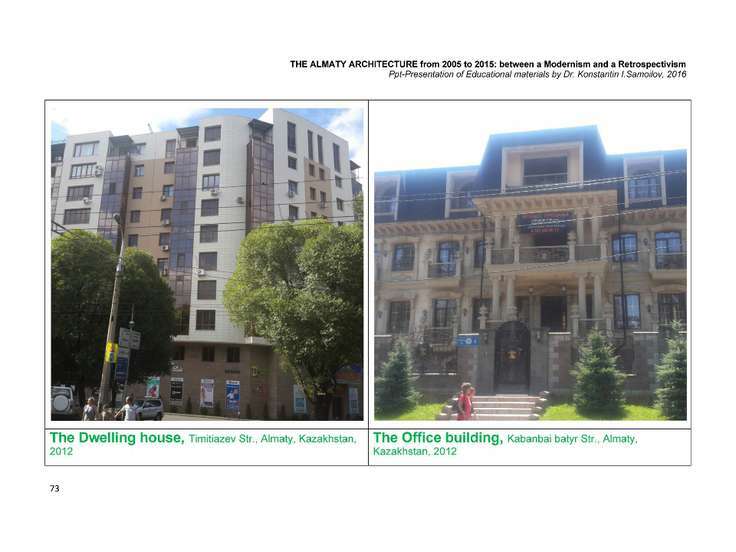 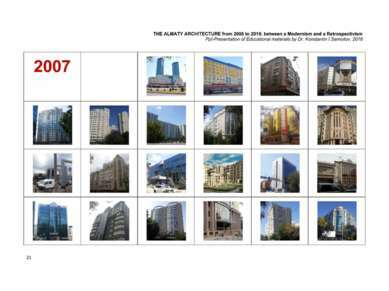 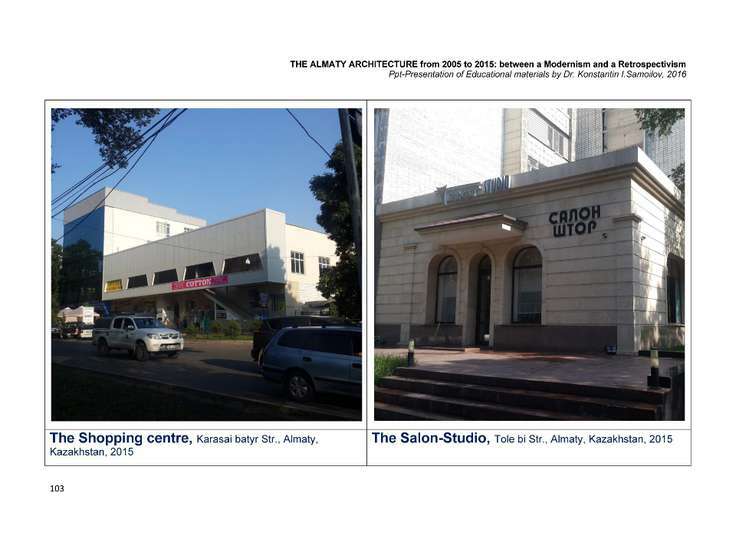 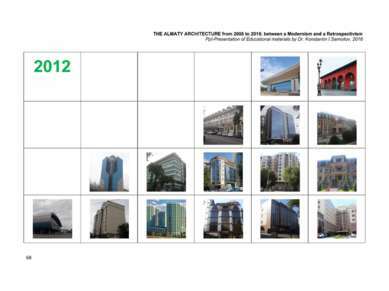 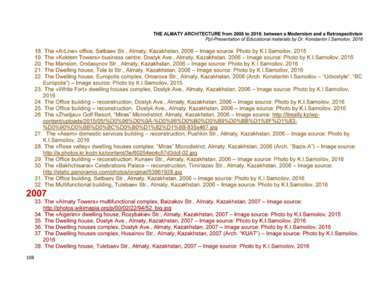 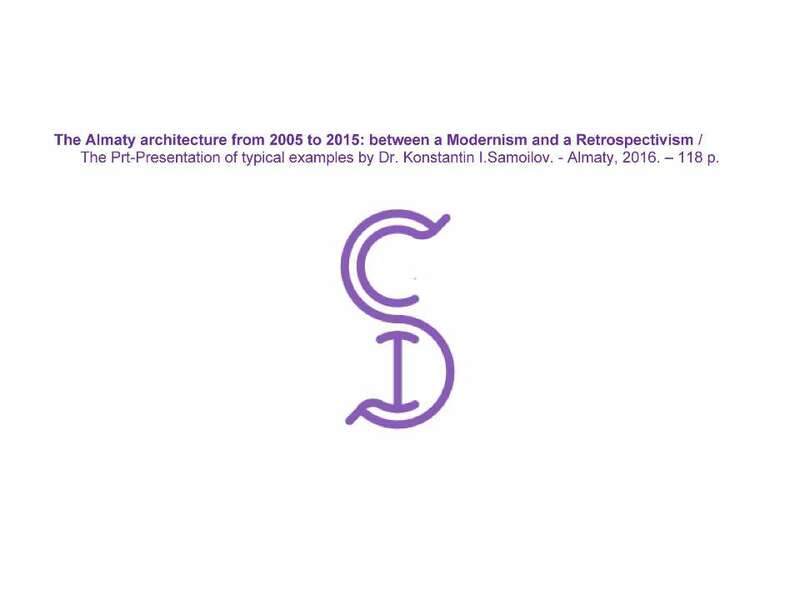 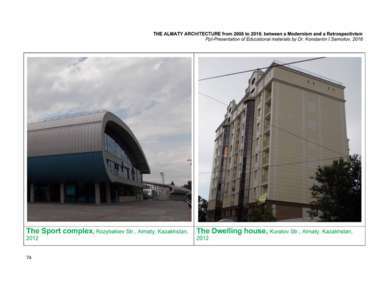 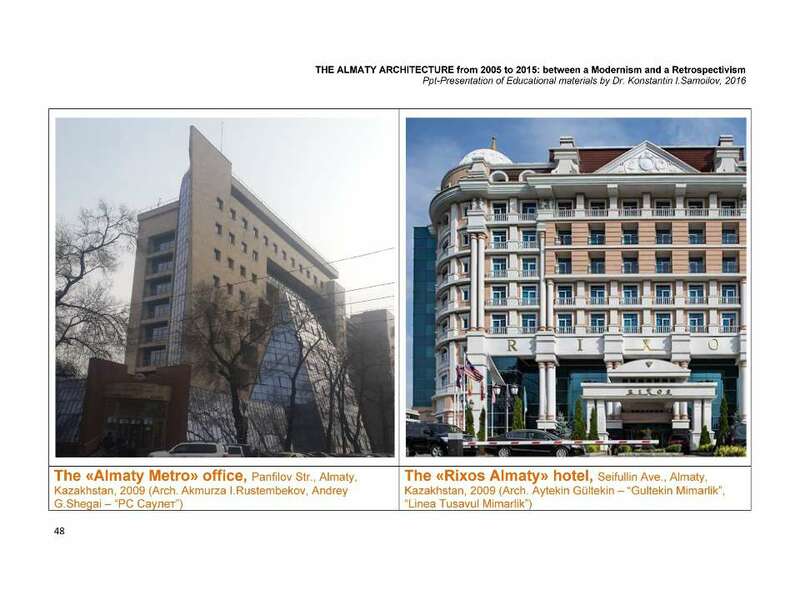 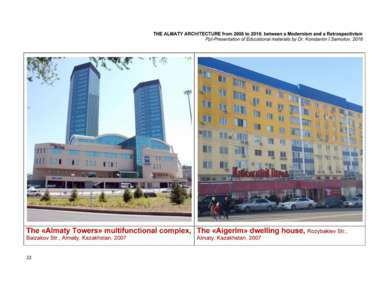 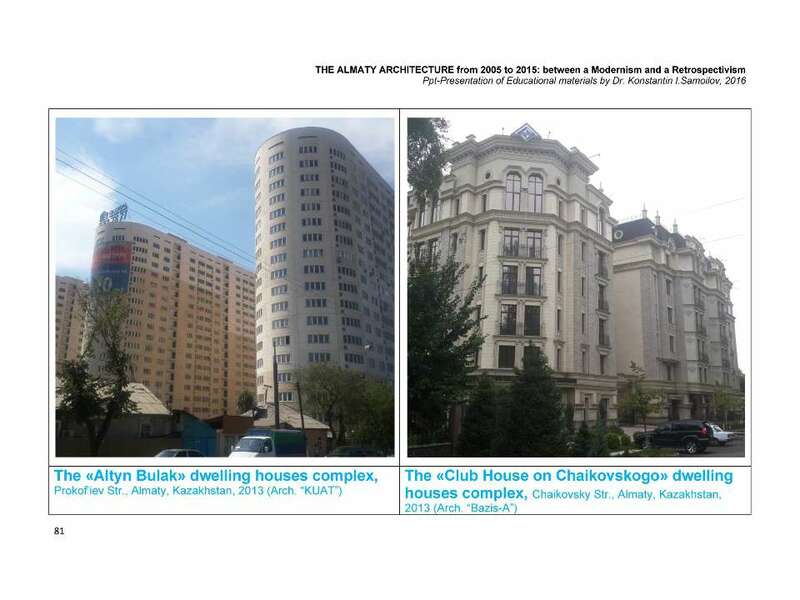 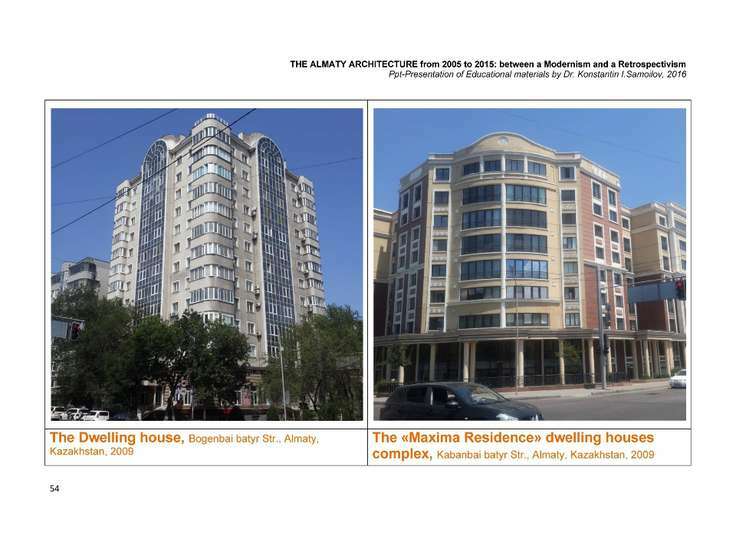 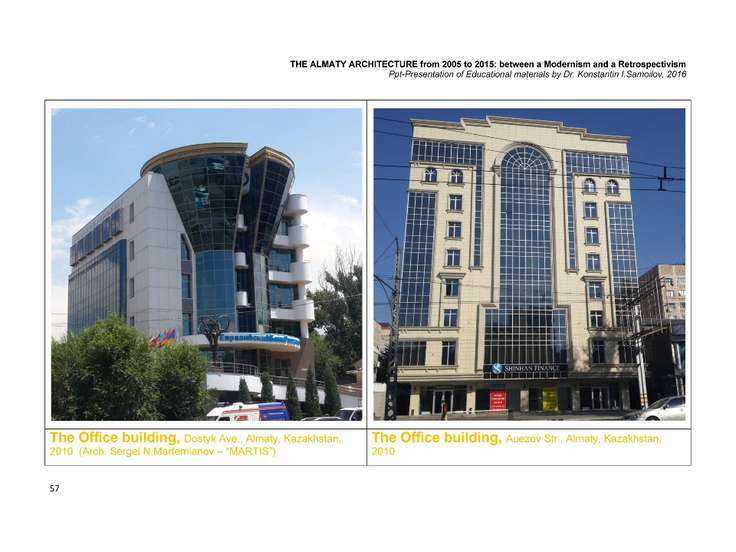 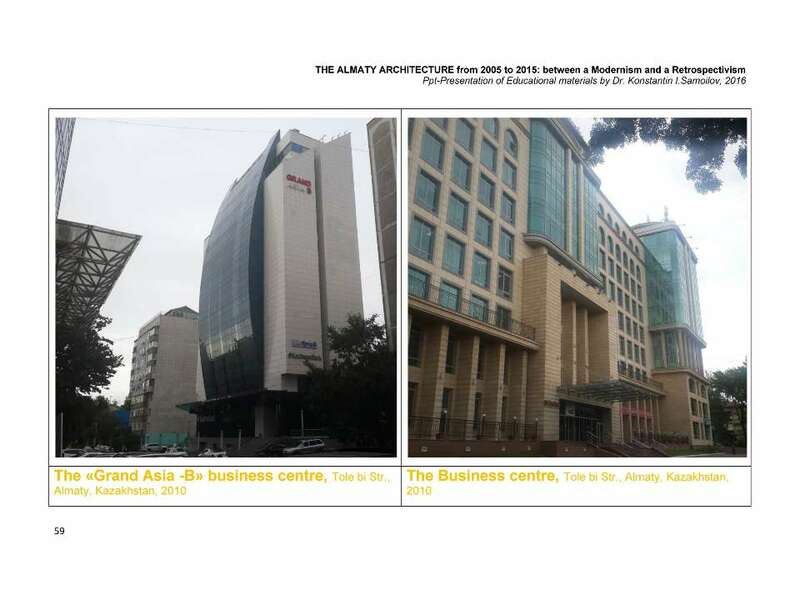 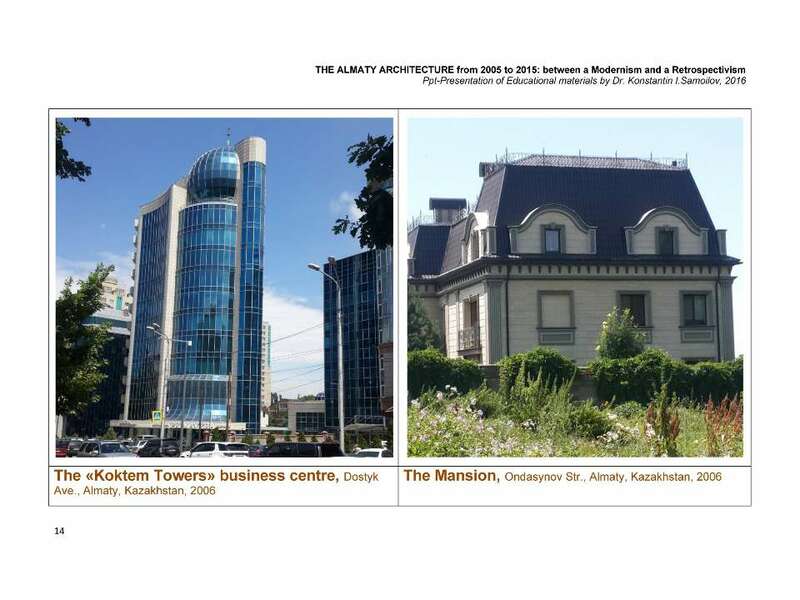 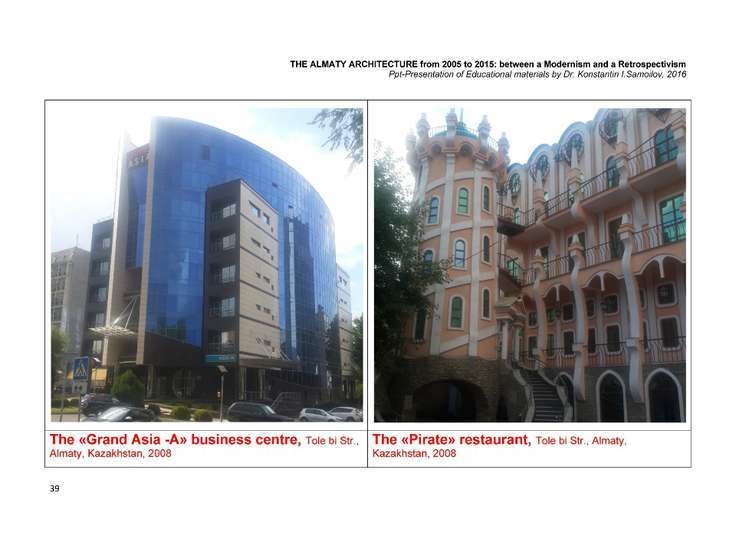 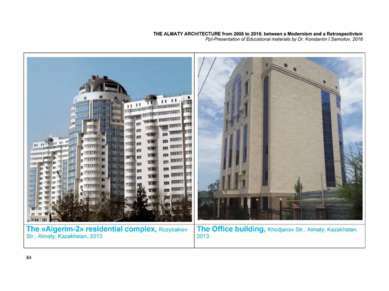 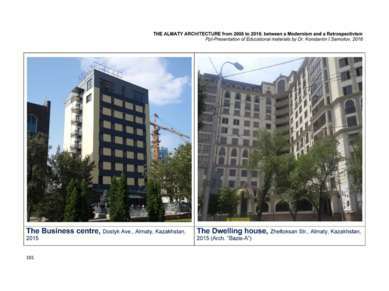 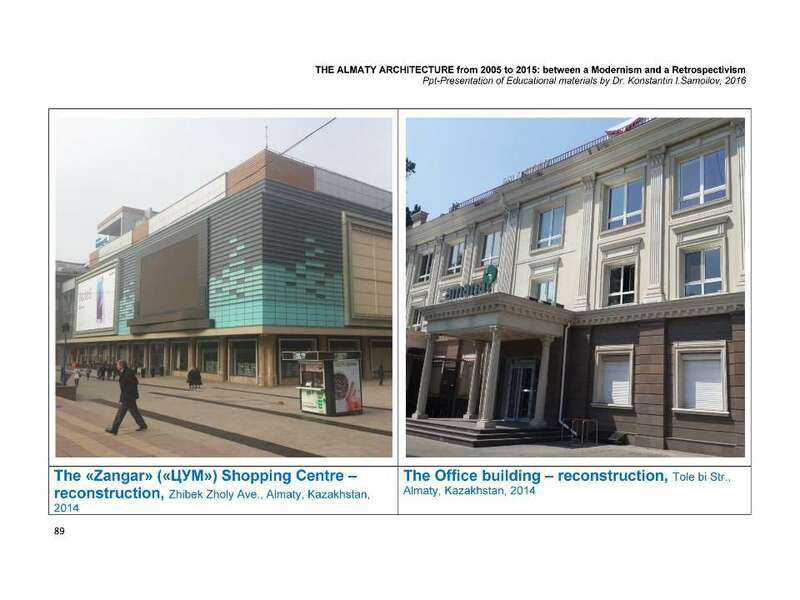 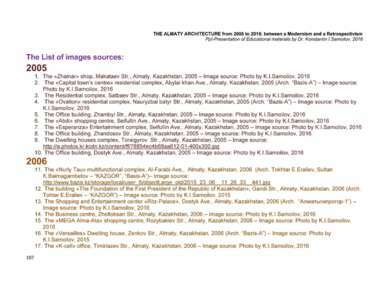 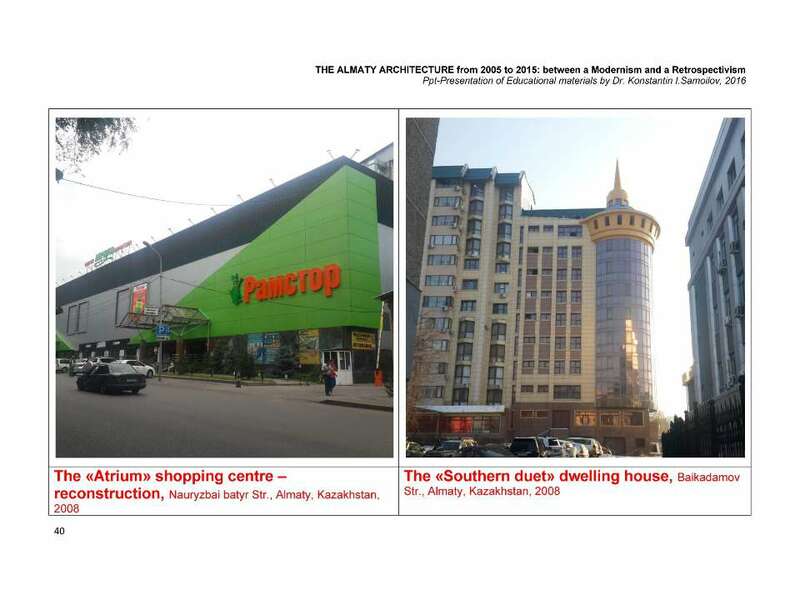 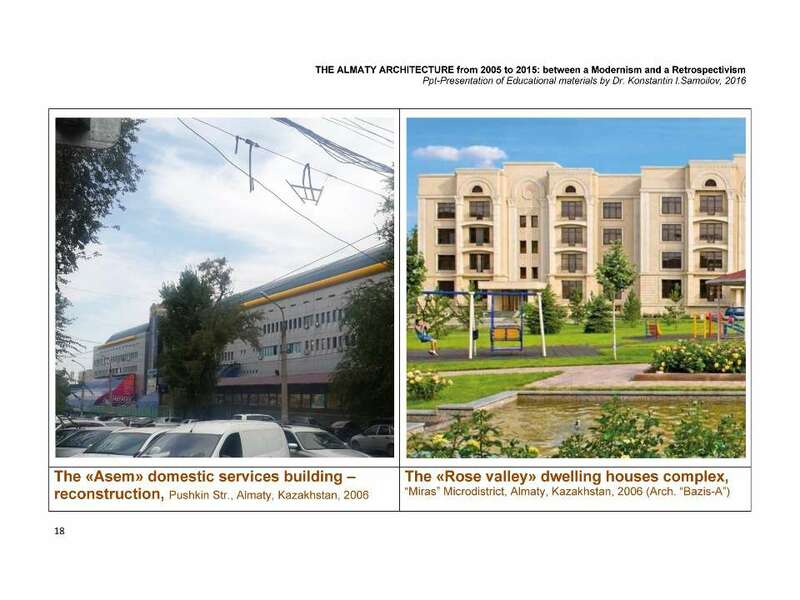 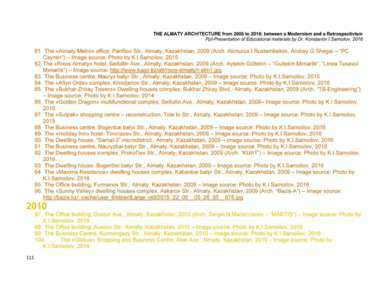 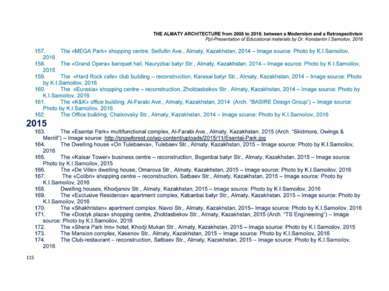 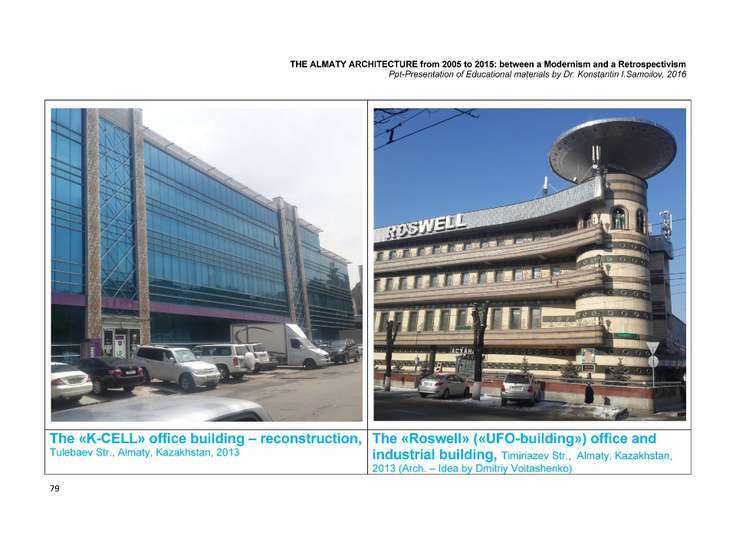 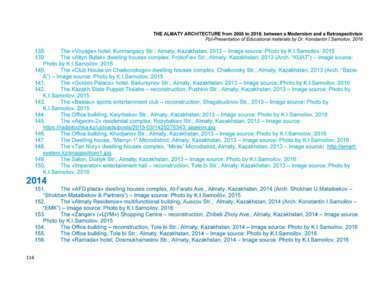 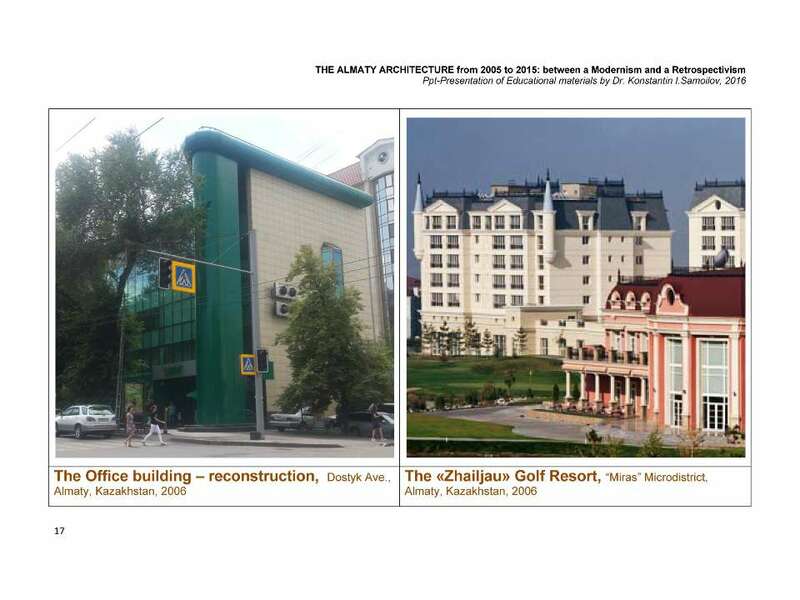 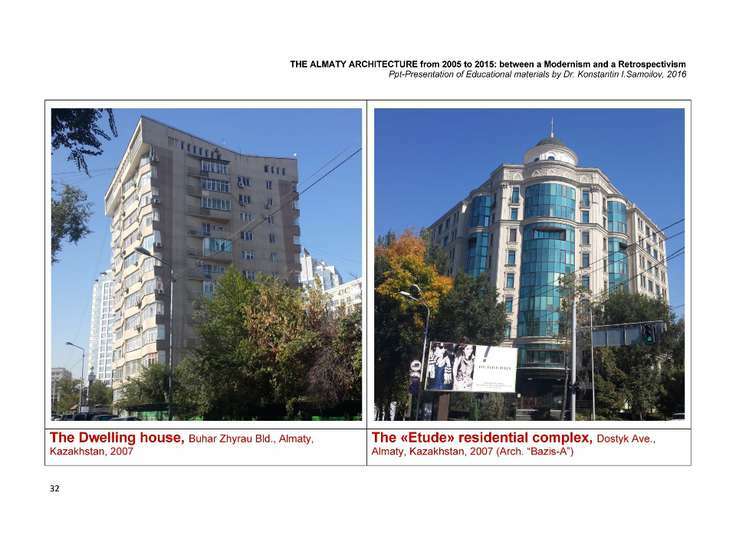 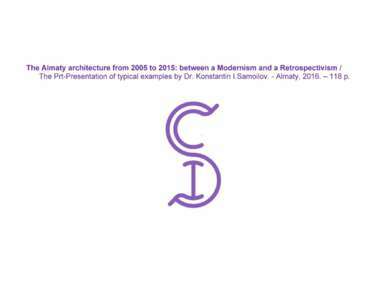 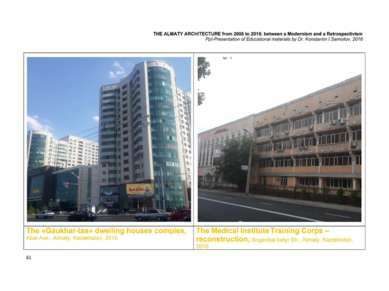 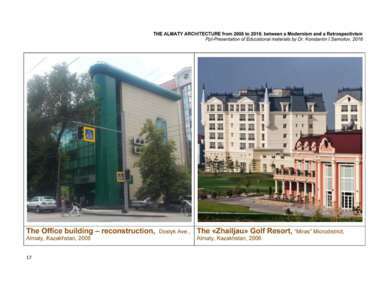 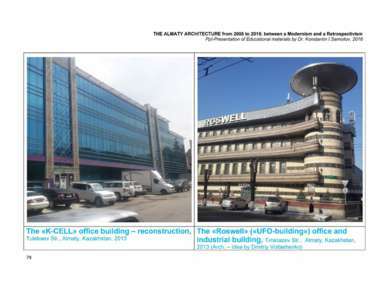 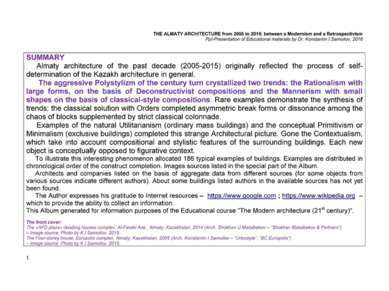 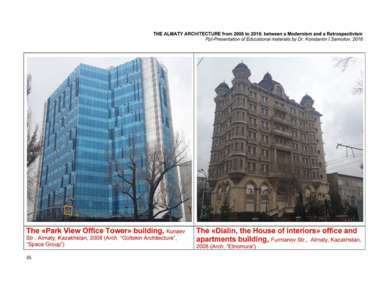 The Almaty architecture from 2005 to 2015: between a Modernism and a Retrospectivism / The Ppt-Presentation of typical examples by Dr. Konstantin I.Samoilov. 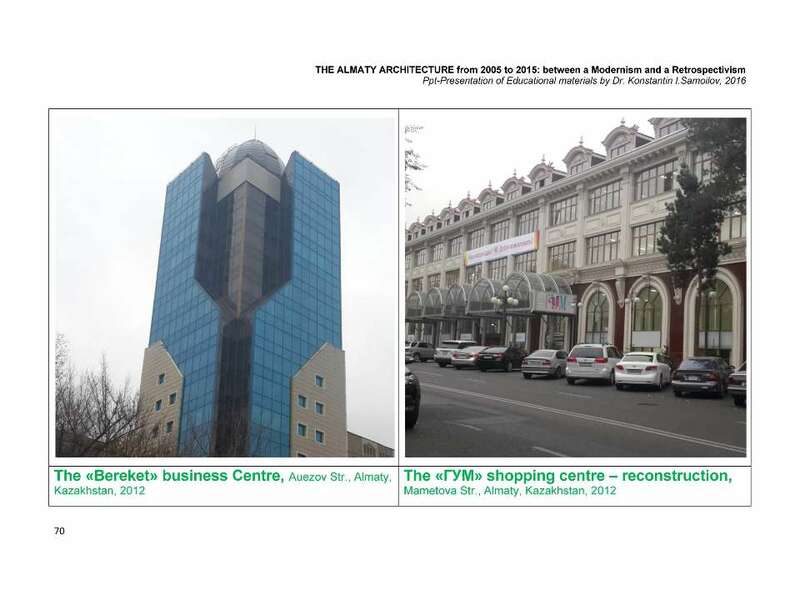 - Almaty, 2016. 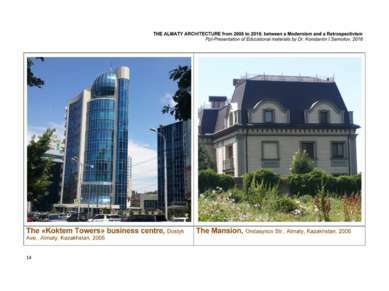 – 118 p.